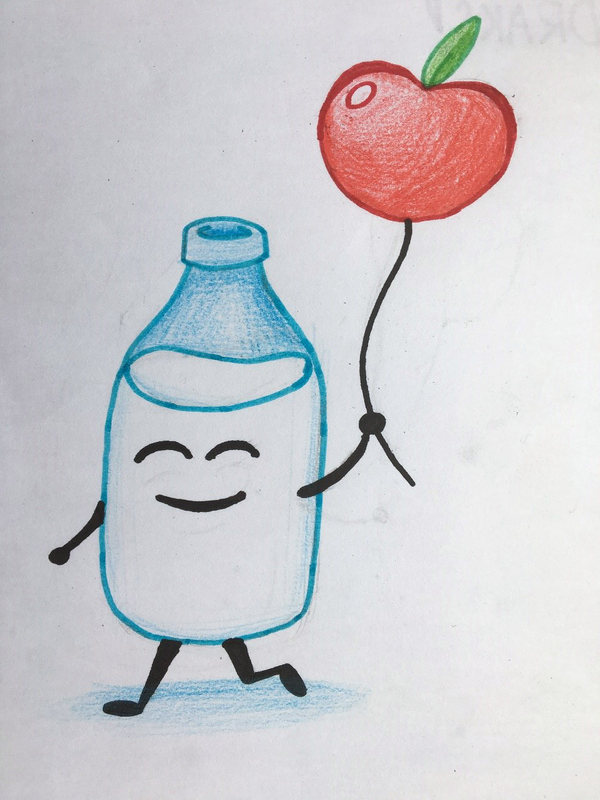 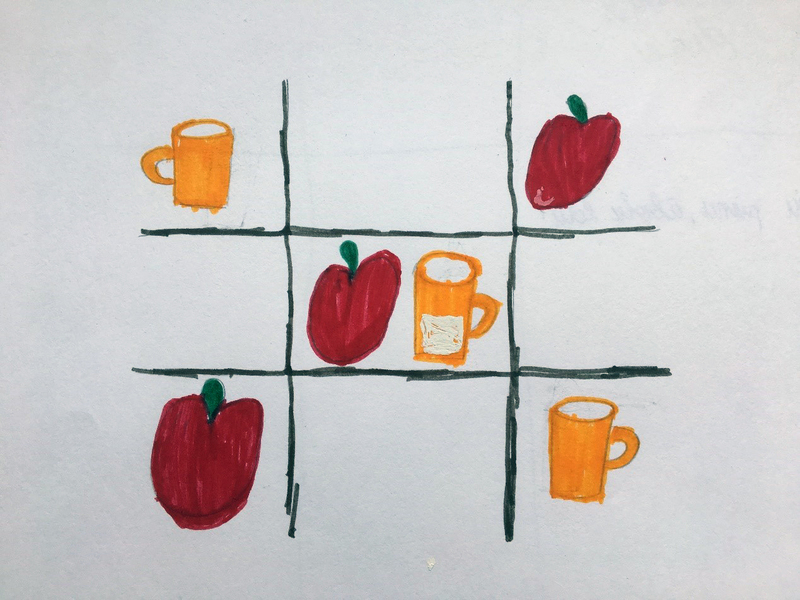 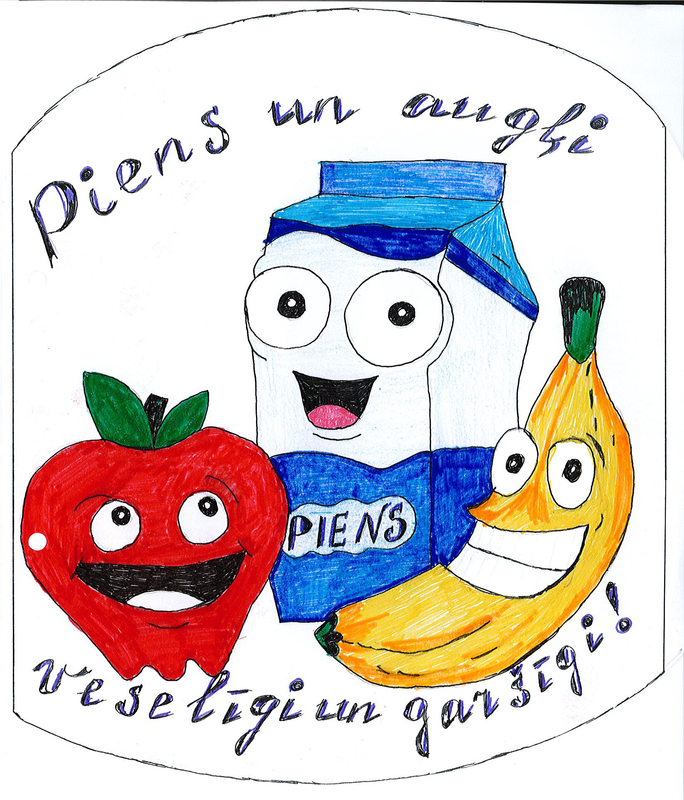 Until May 28, together with classmates, friends or within group, make and describe visual images of your friends – milk, fruits and vegetables – and take part in the competition. 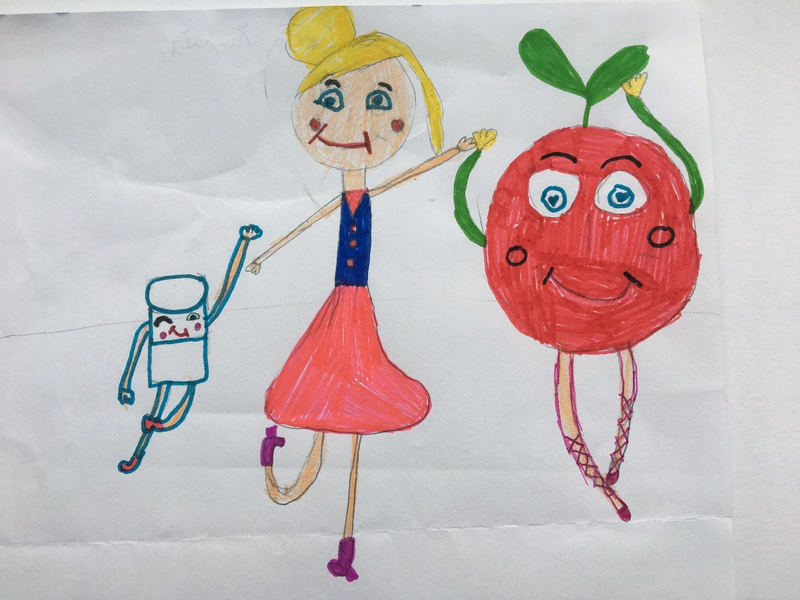 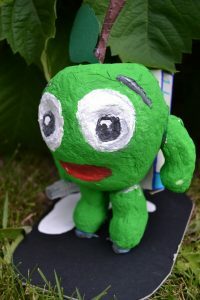 Possible that your created characters will “come to life” and will participate in various events for children and youngsters, but you will be able to visit farms and companies that produce healthy milk, fruit and vegetable products. 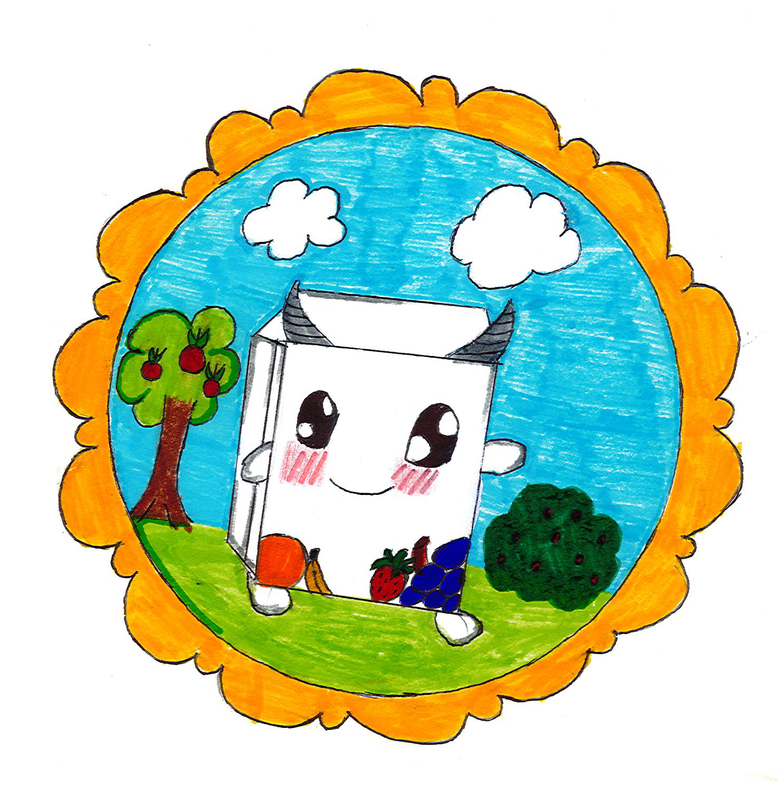 The receiving of the competition papers is prolonged until June 1! 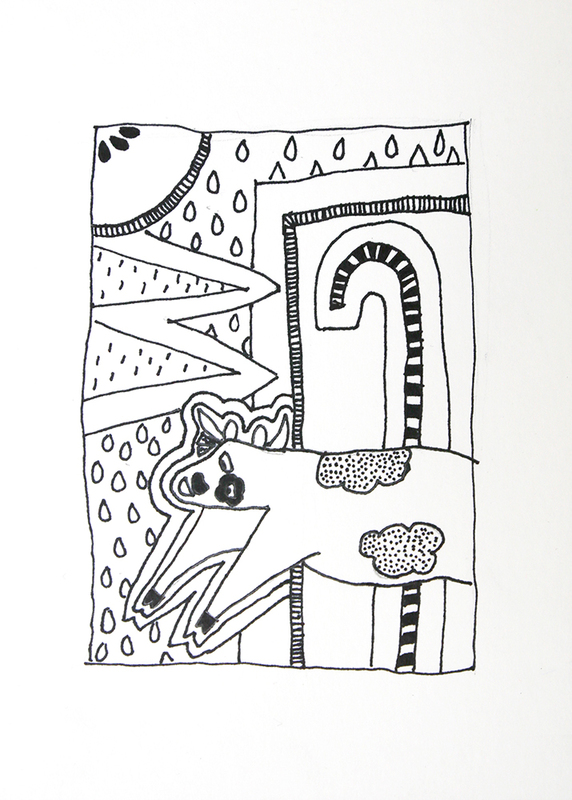 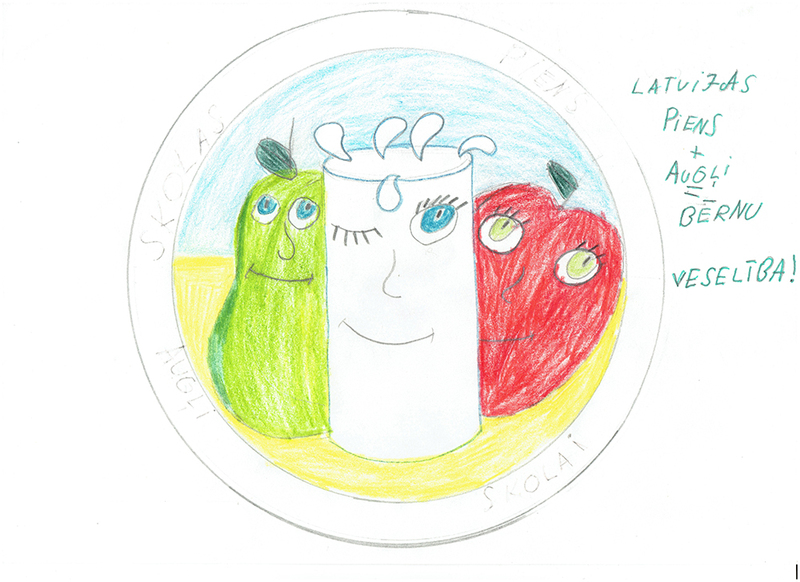 Congratulations to the Andreja Upīša Skrīveru Secondary School, 5th a grades team “M&M”! 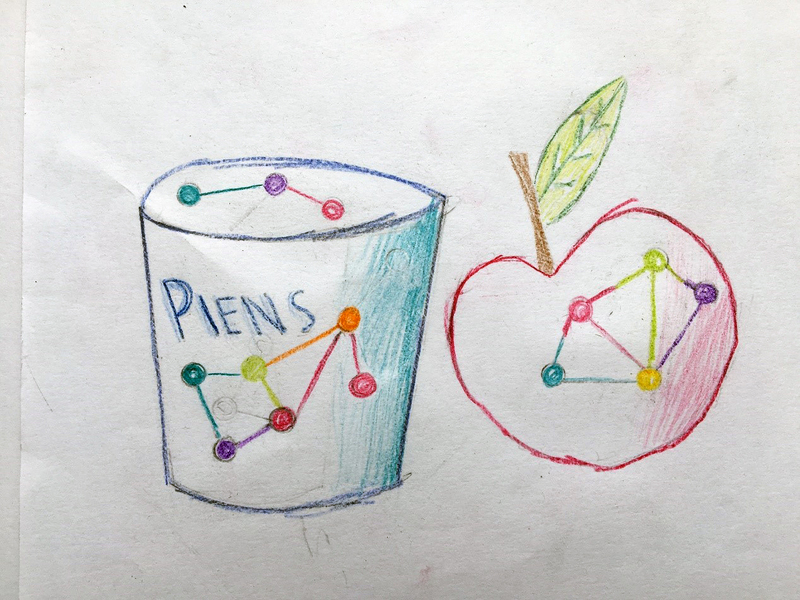 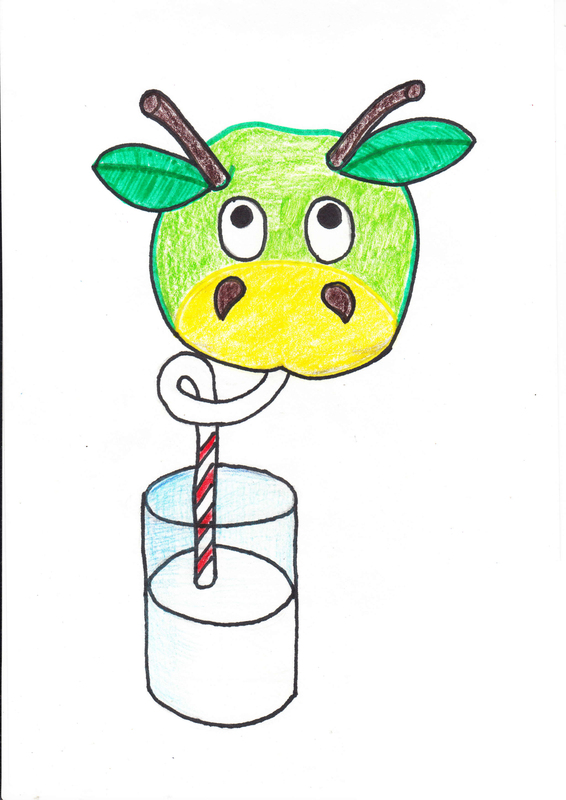 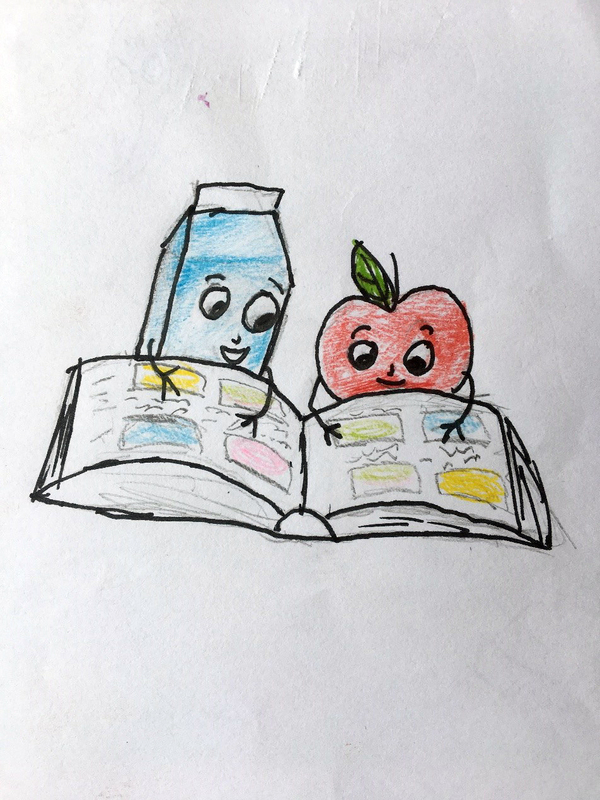 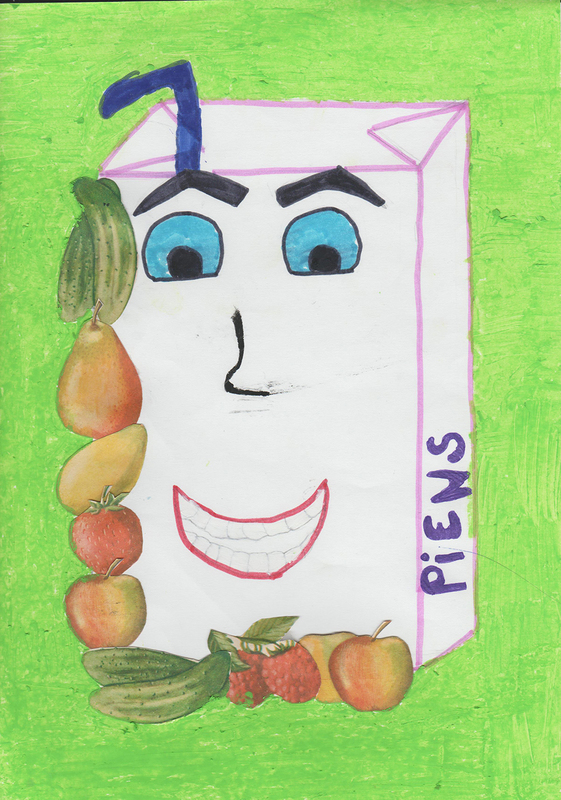 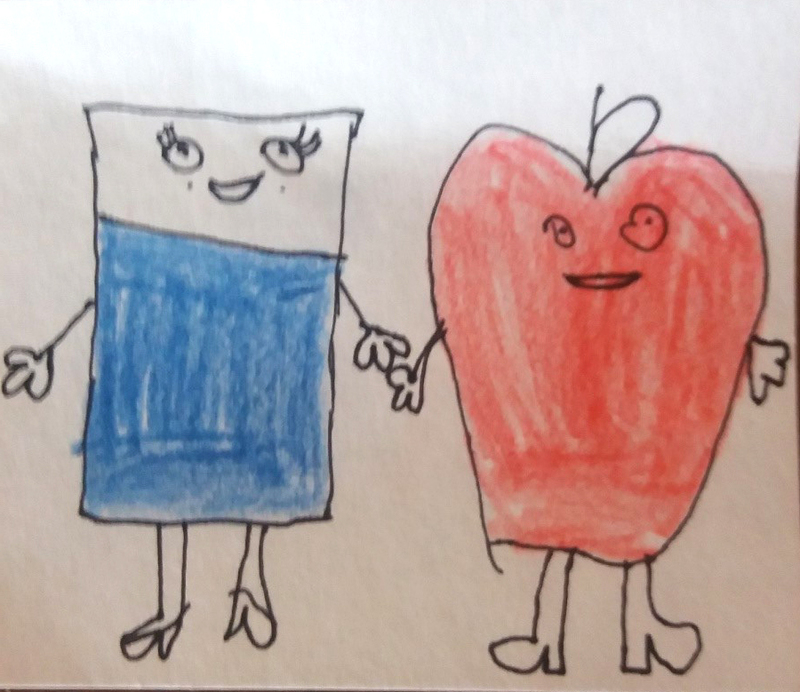 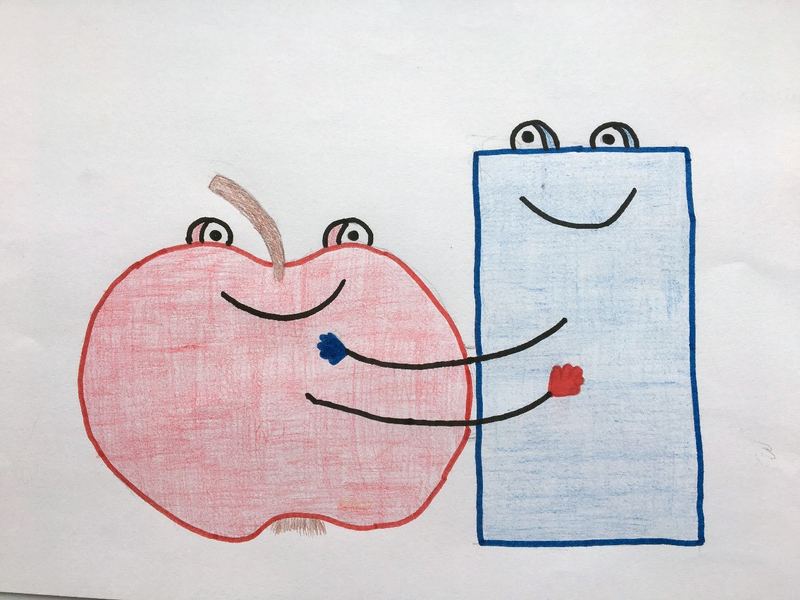 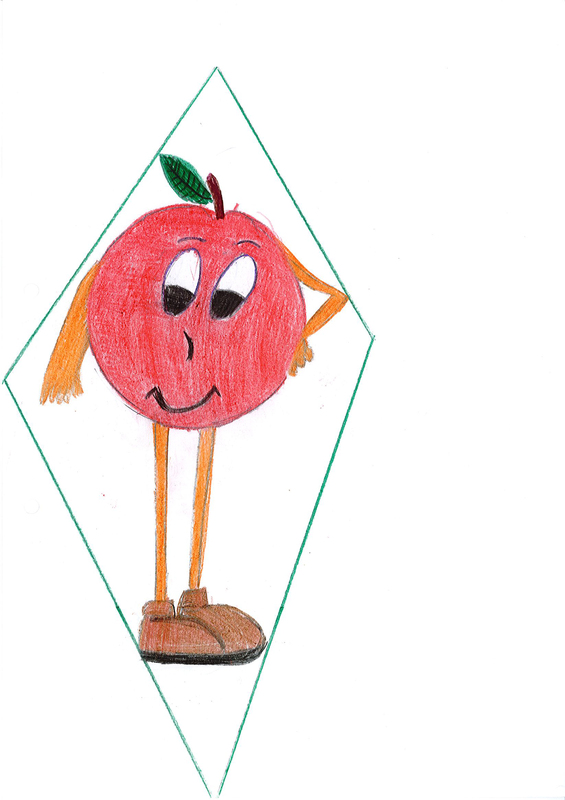 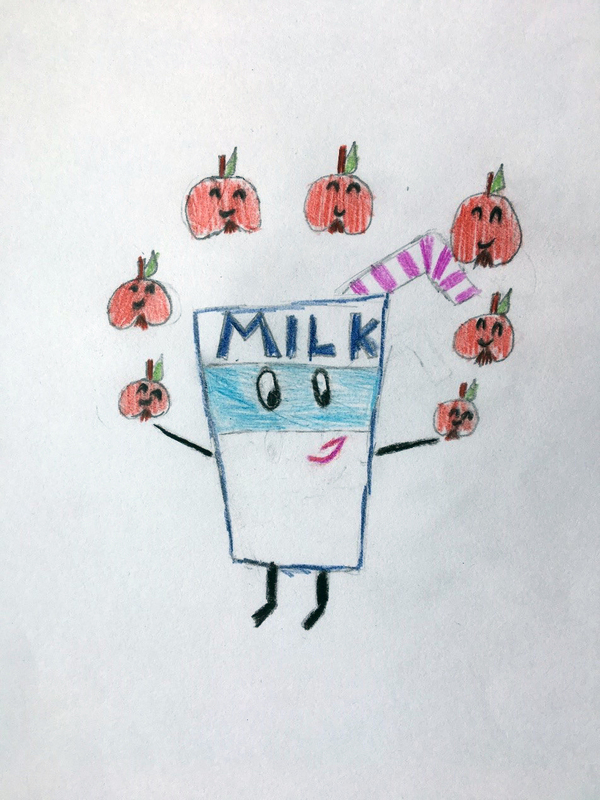 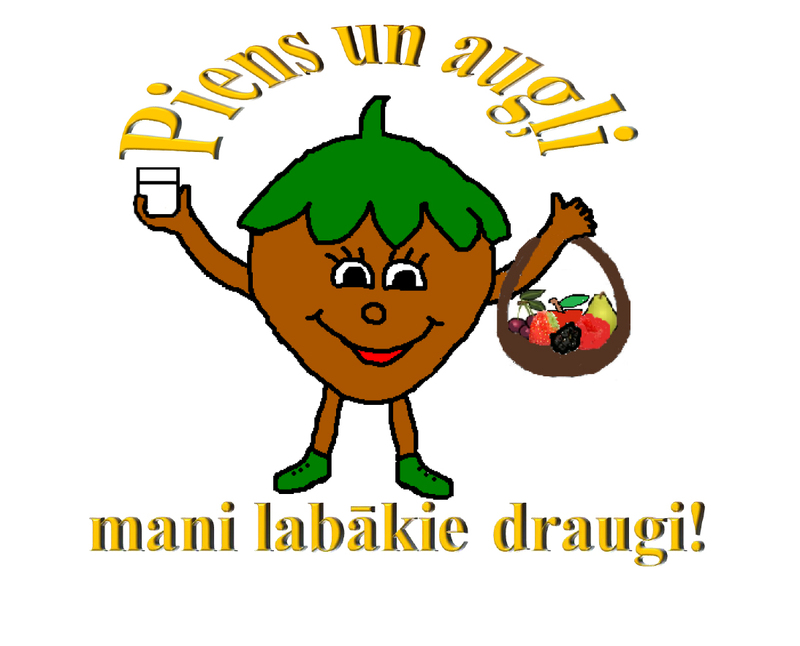 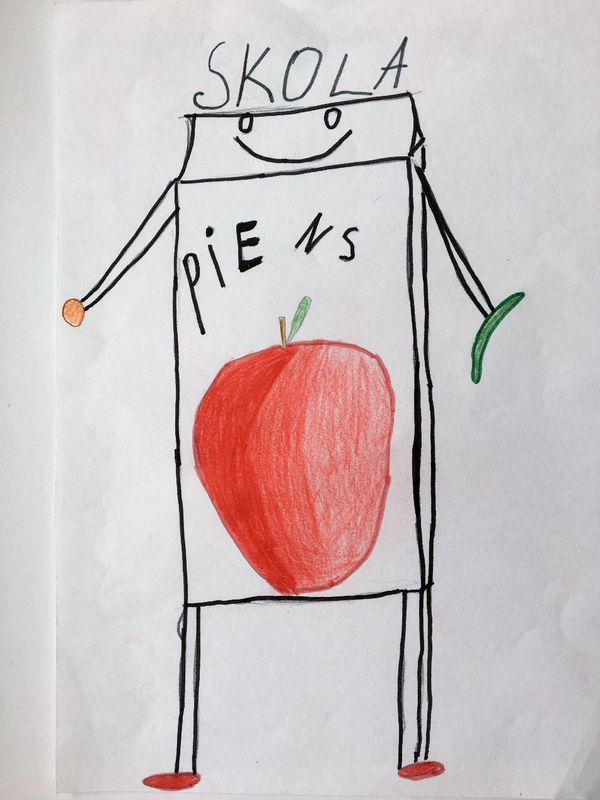 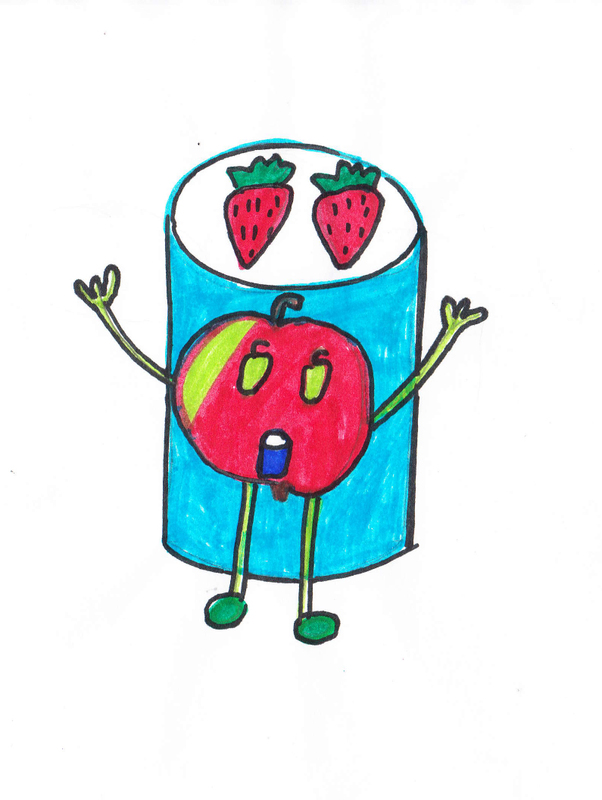 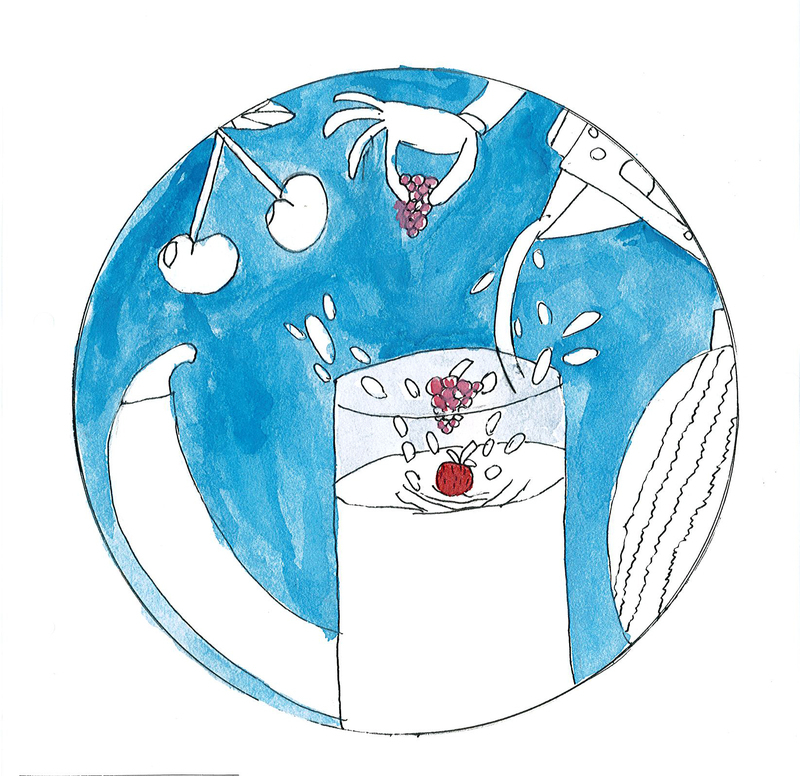 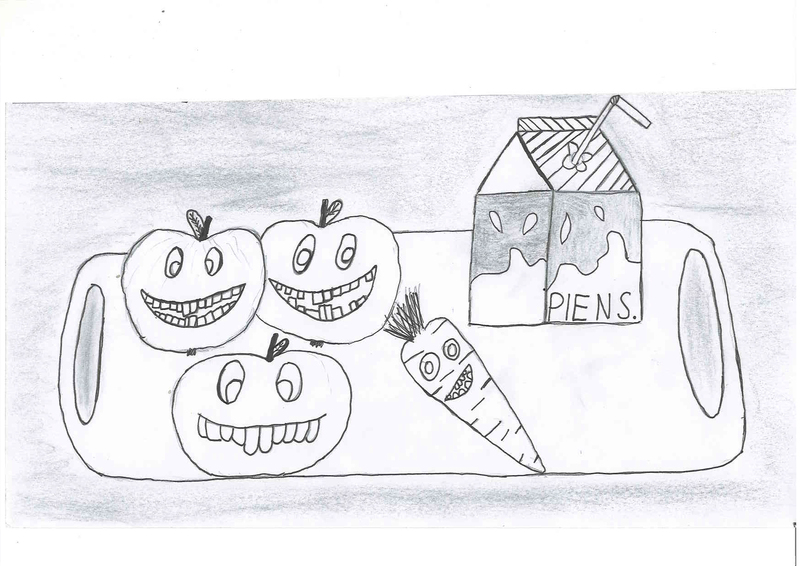 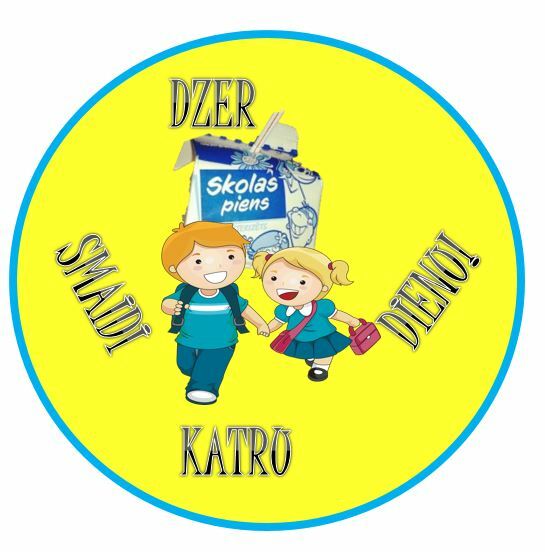 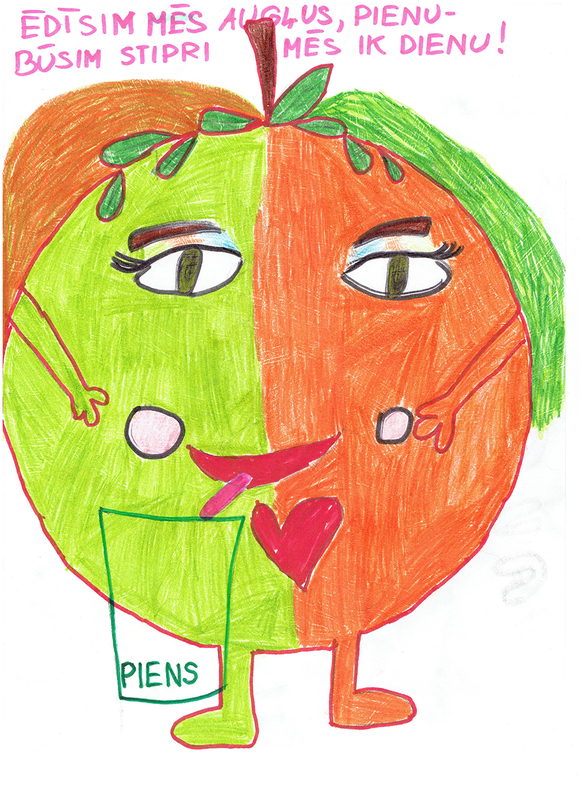 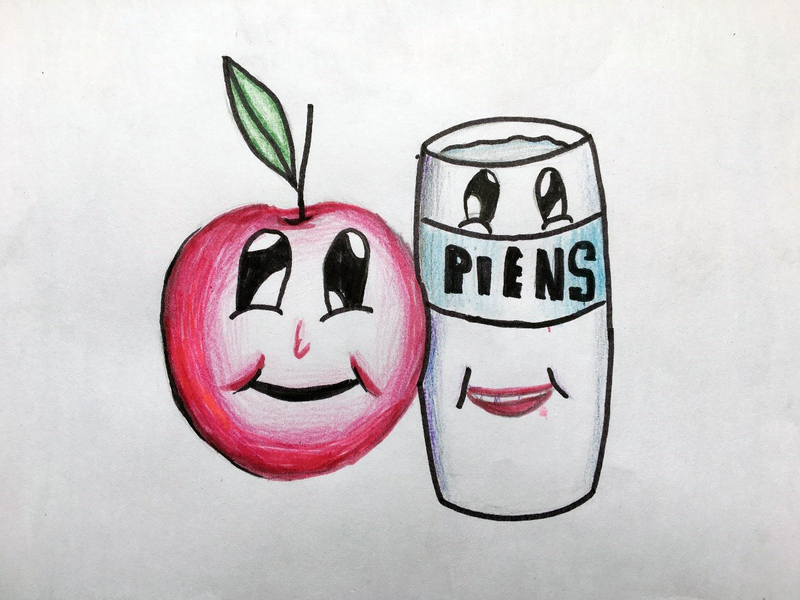 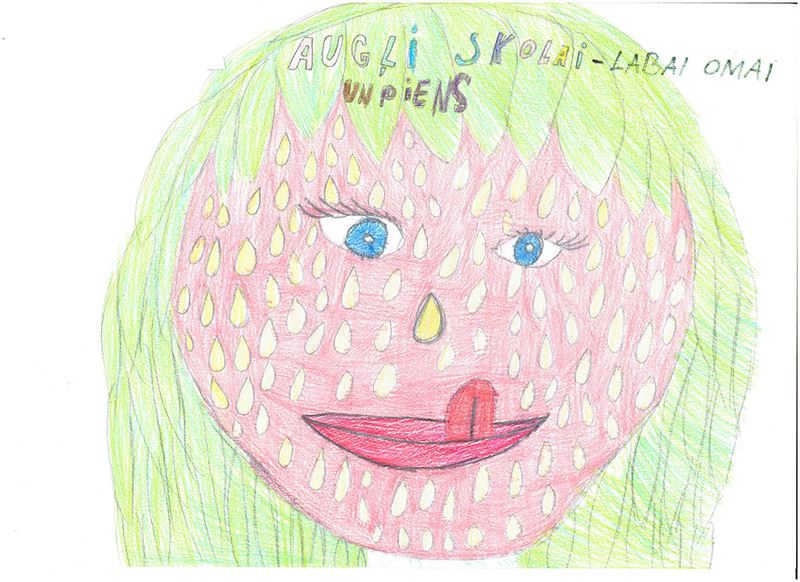 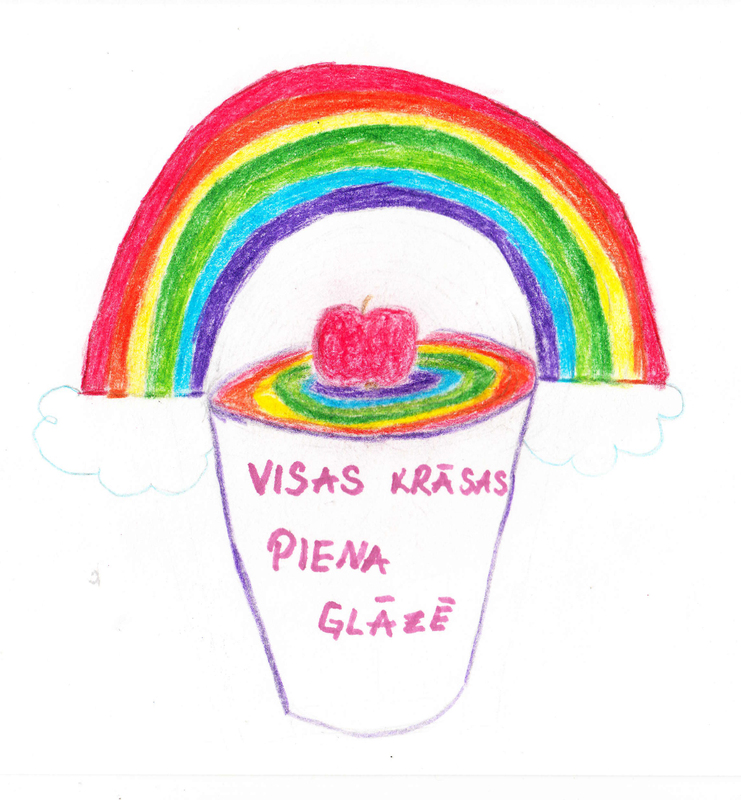 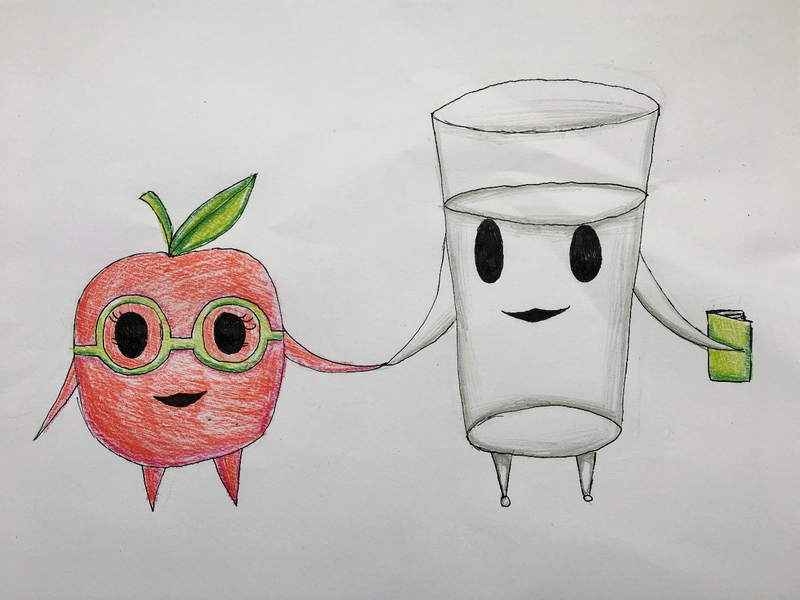 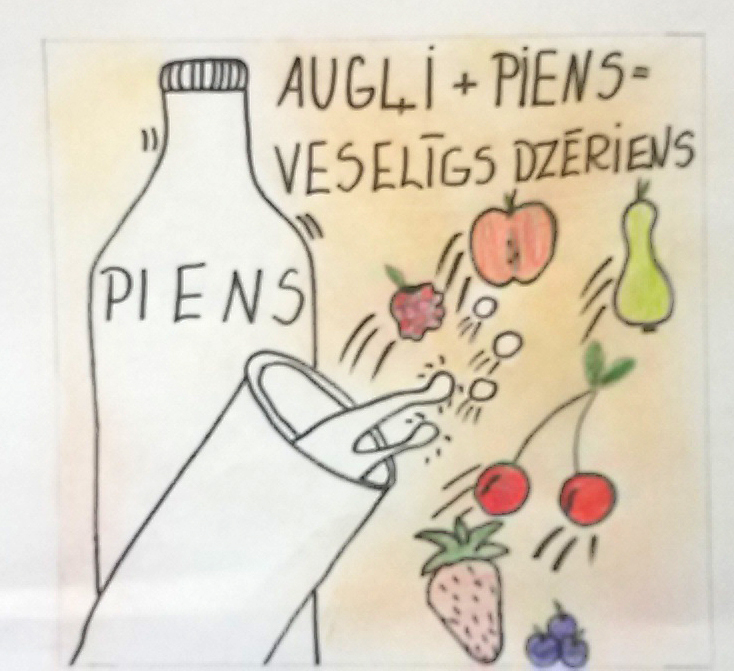 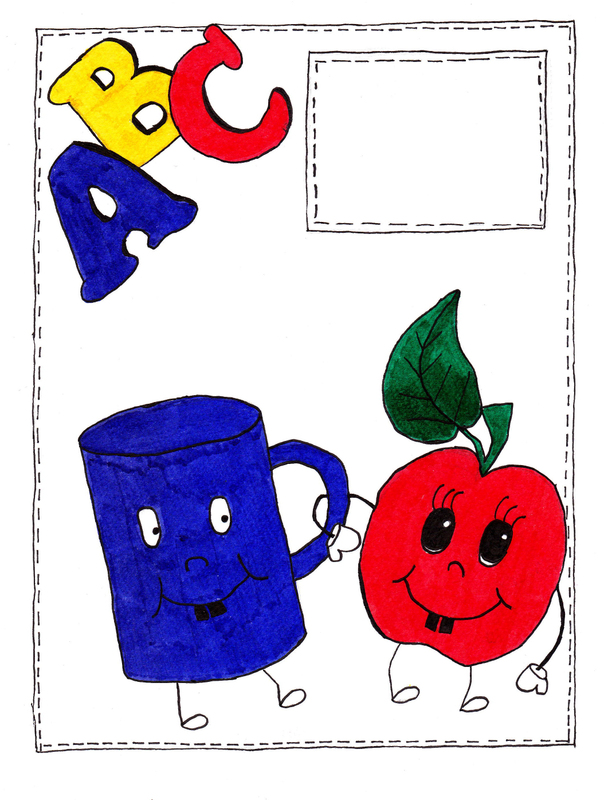 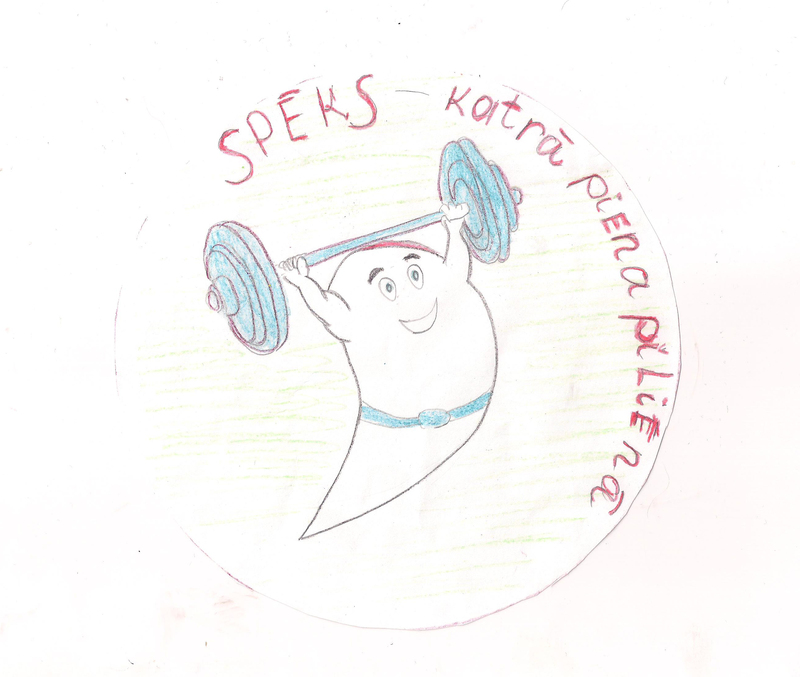 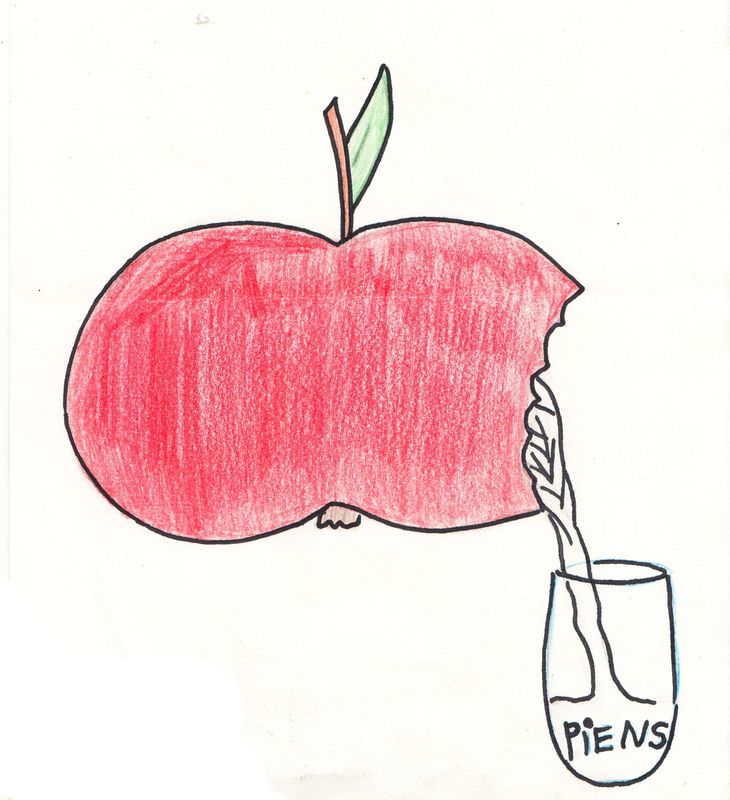 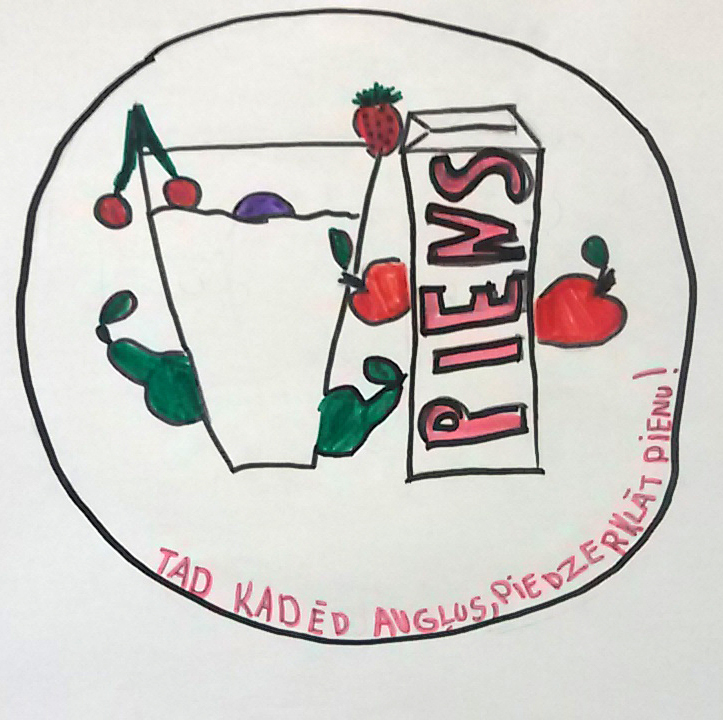 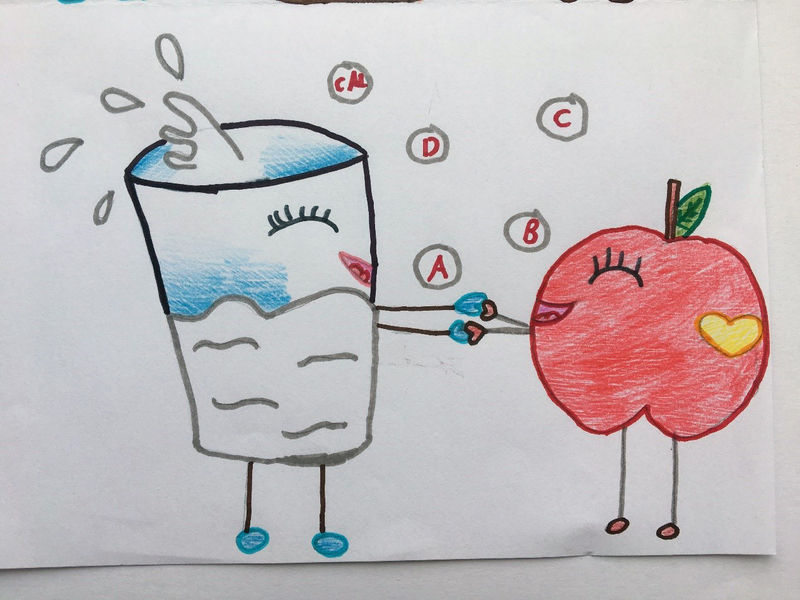 “Ābols Pienšļācis” (Apple Milksplash) has become a friend of the programme “School Milk and Fruit”! 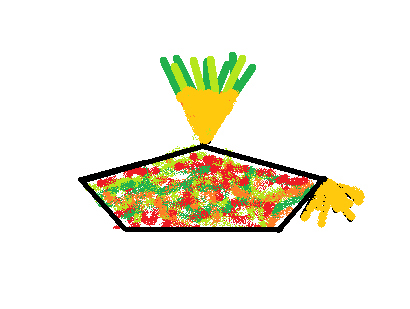 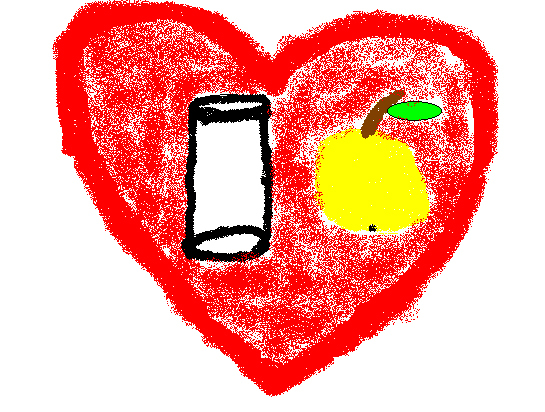 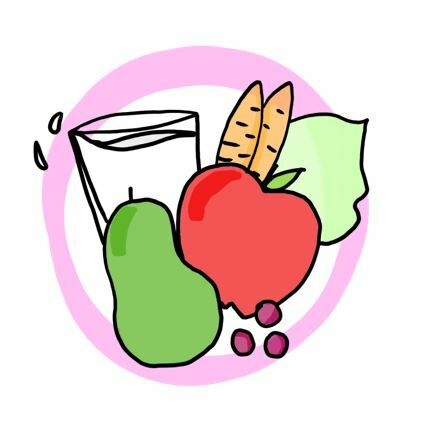 You will be able to meet the programme’s friend in various events where it will encourage you to eat healthy. 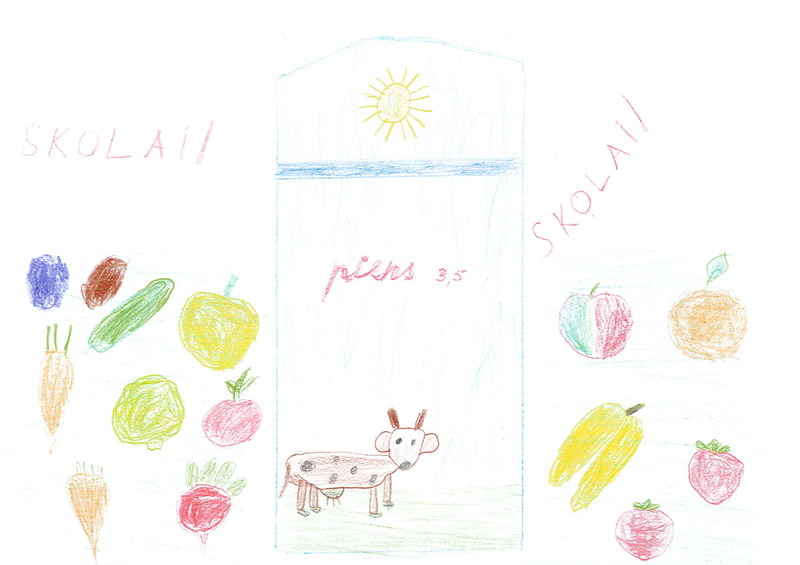 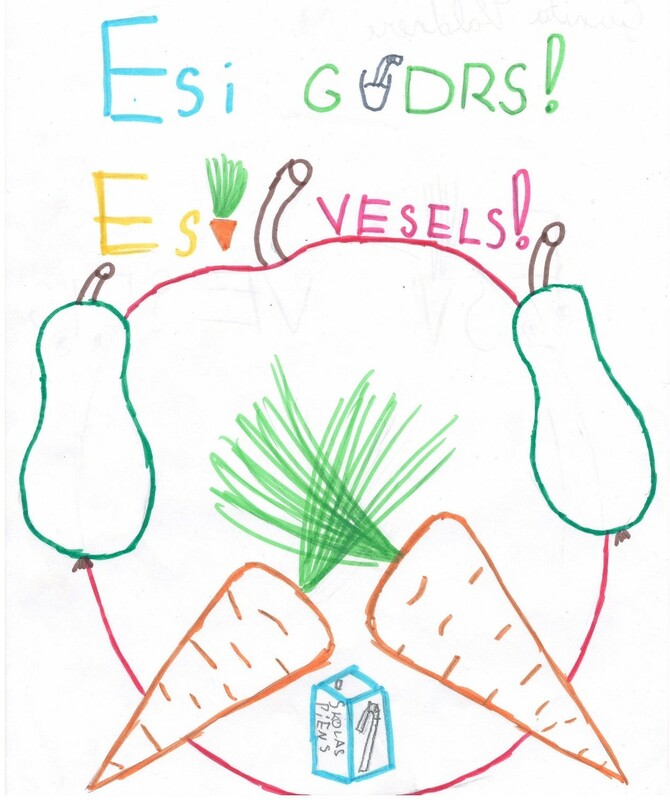 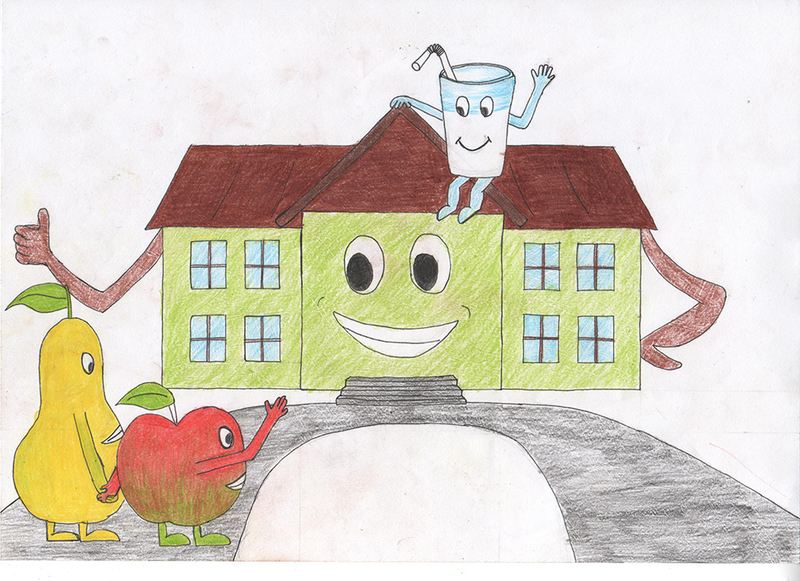 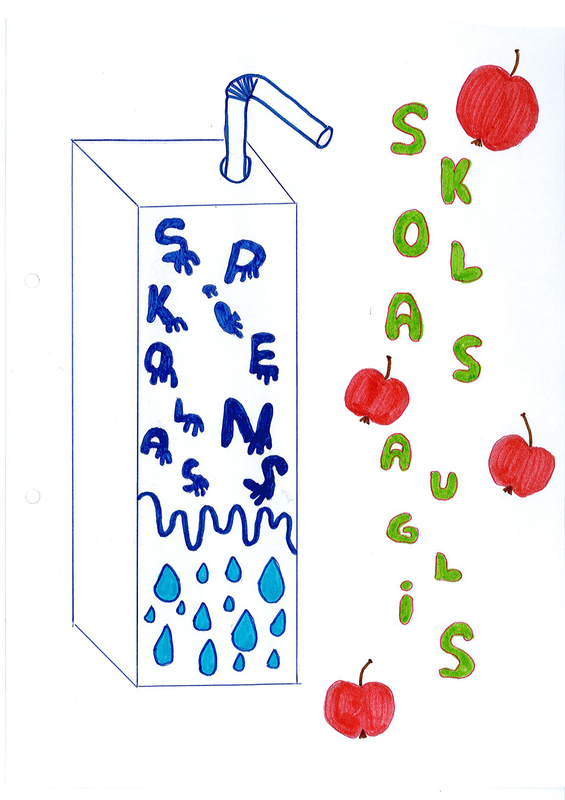 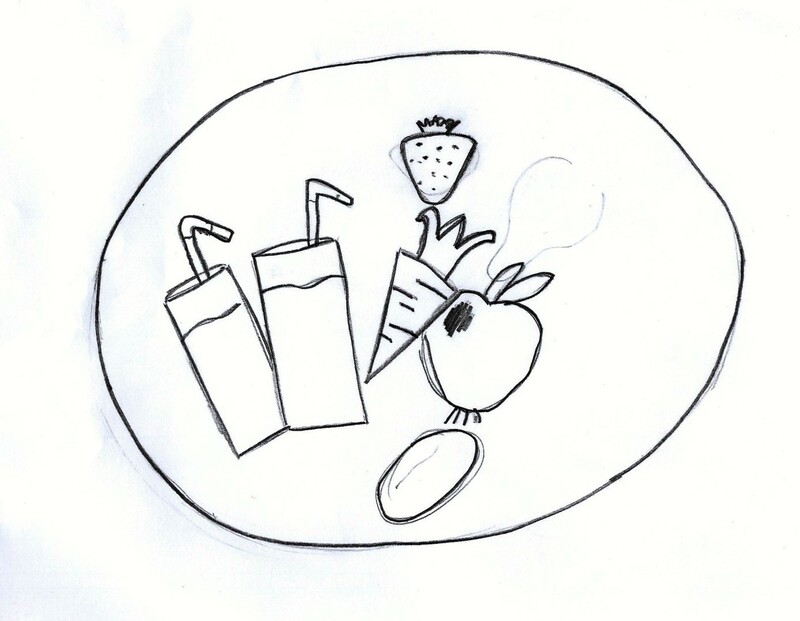 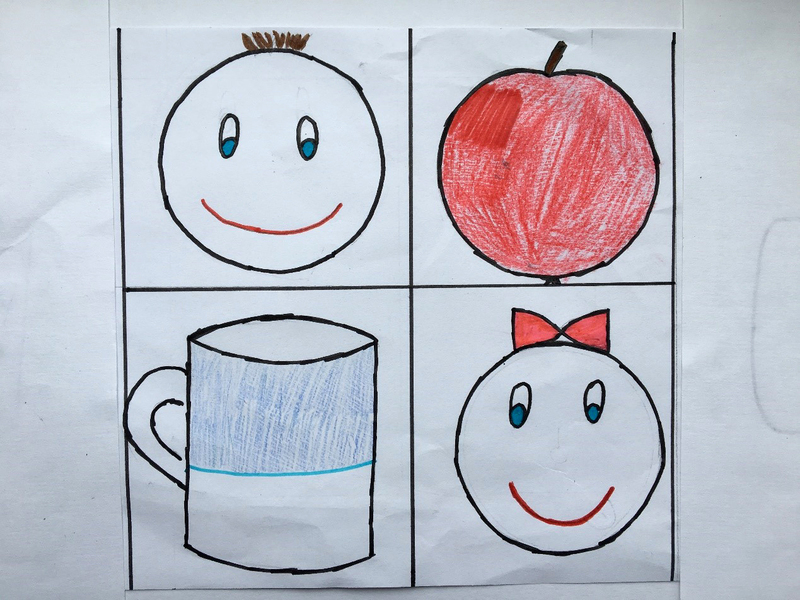 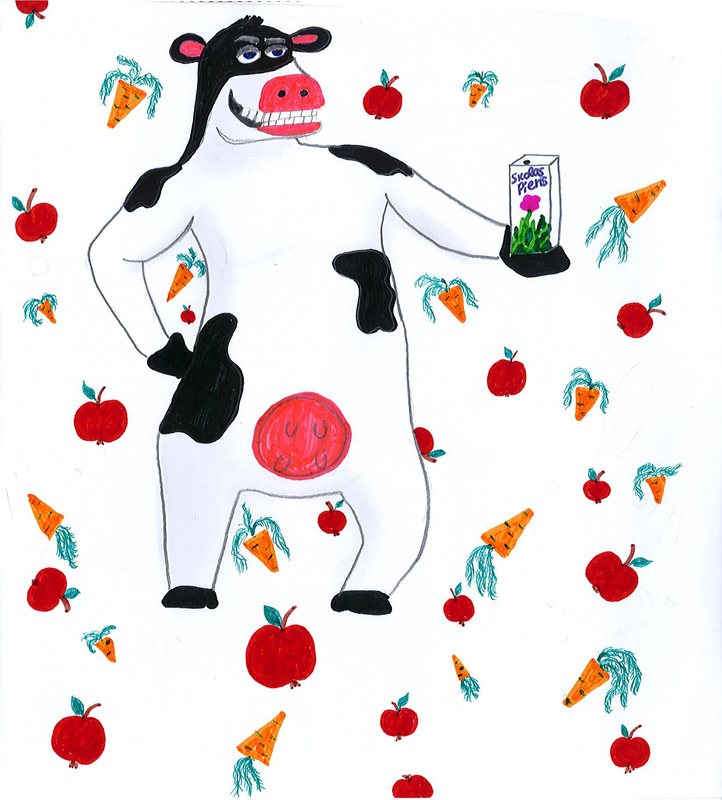 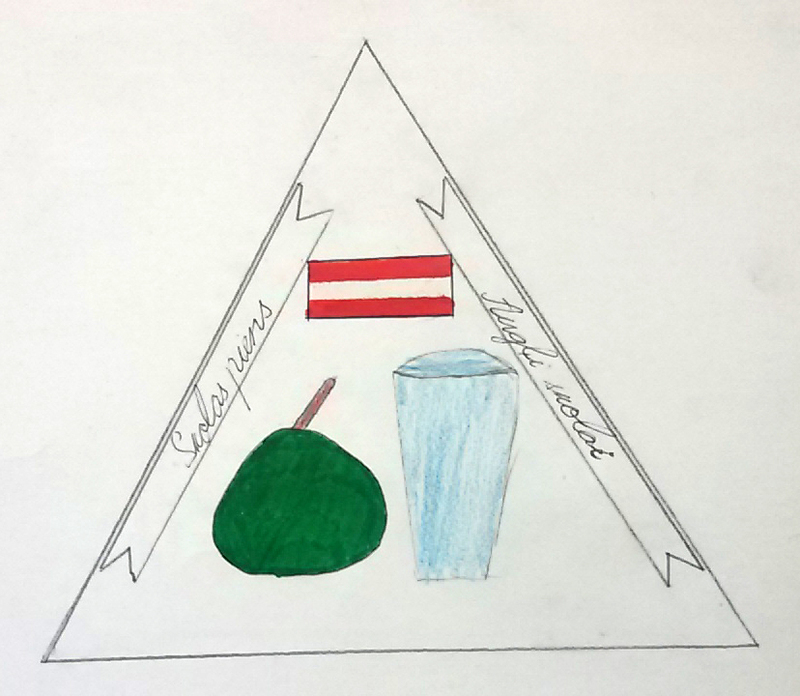 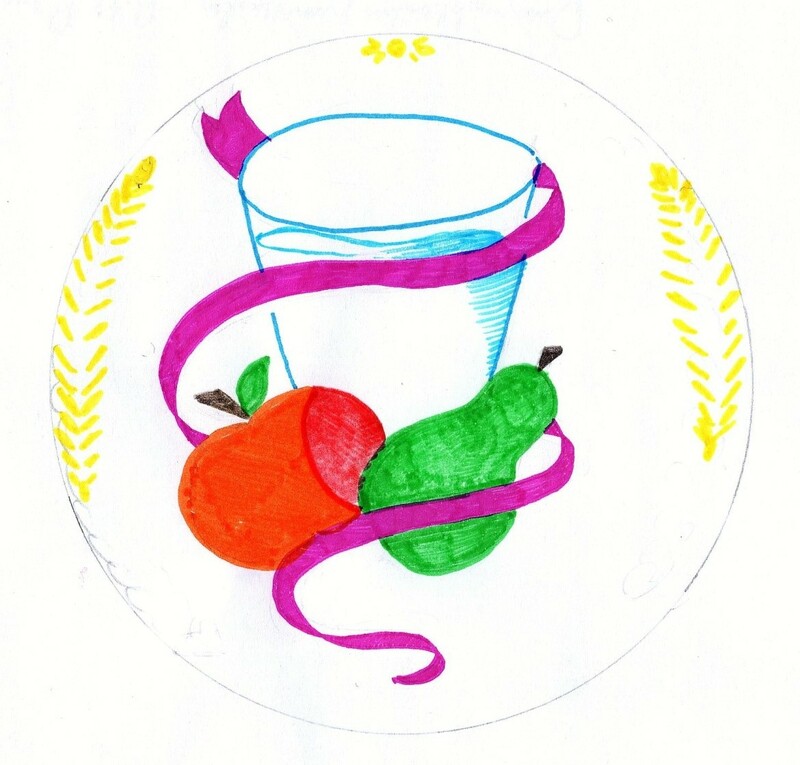 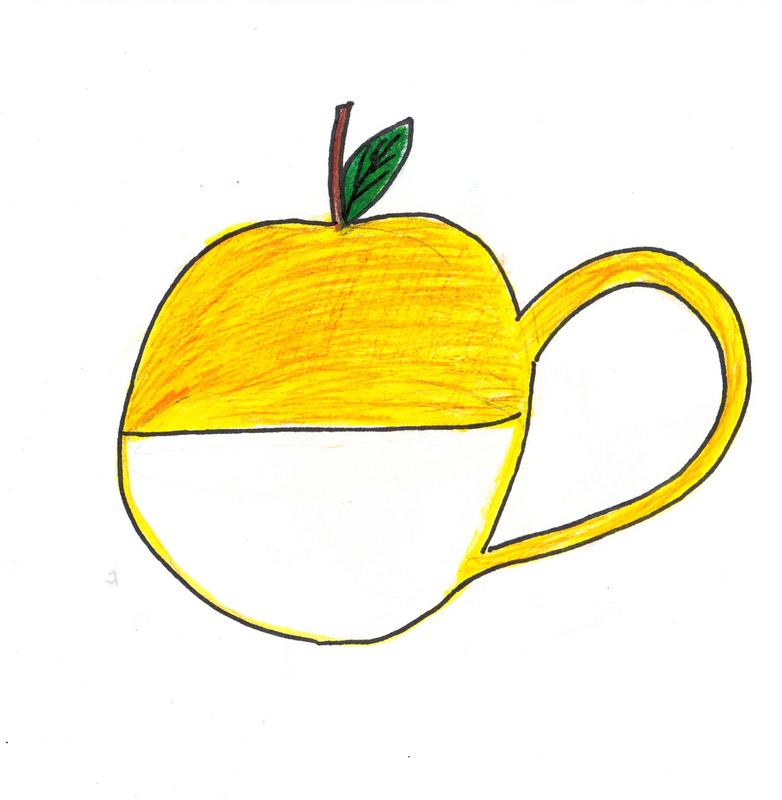 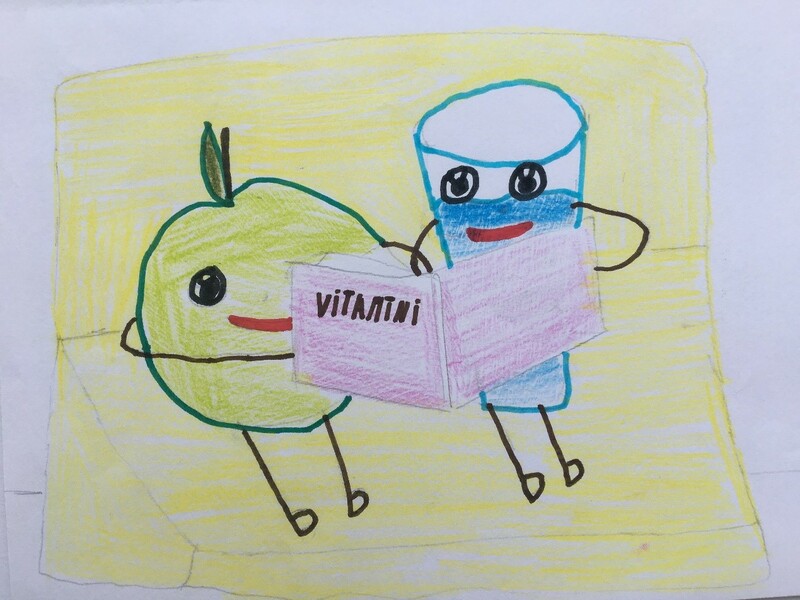 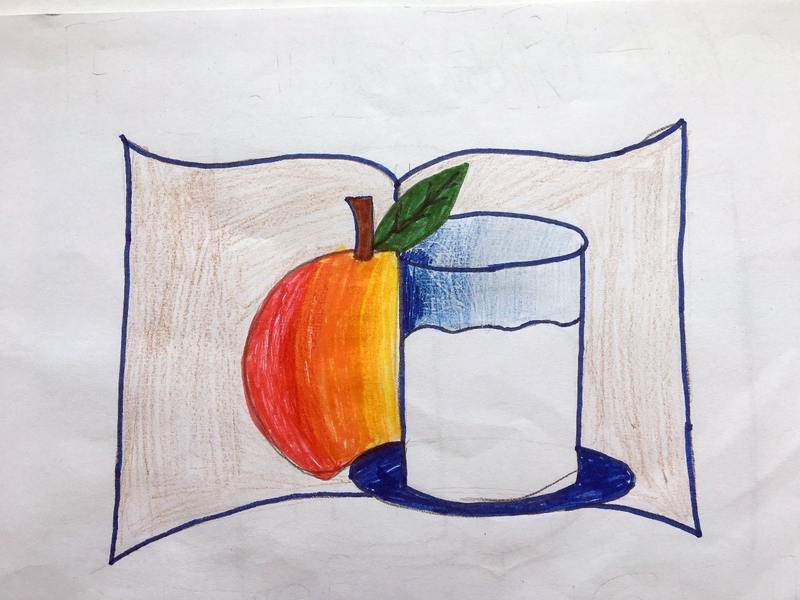 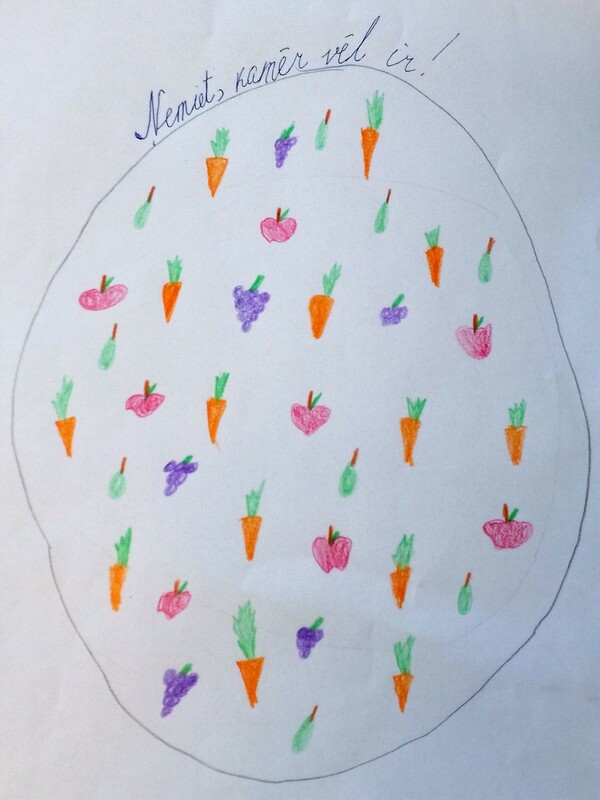 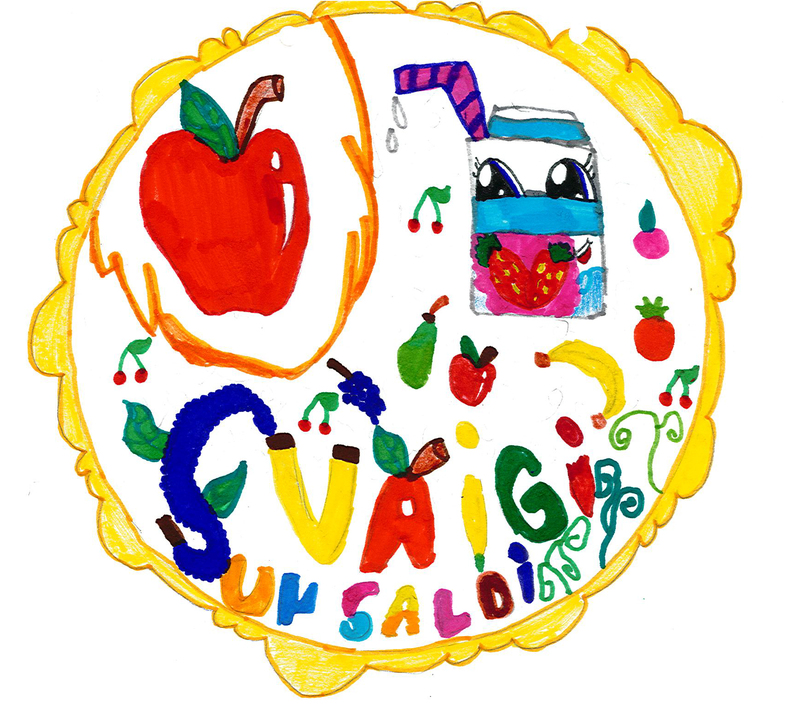 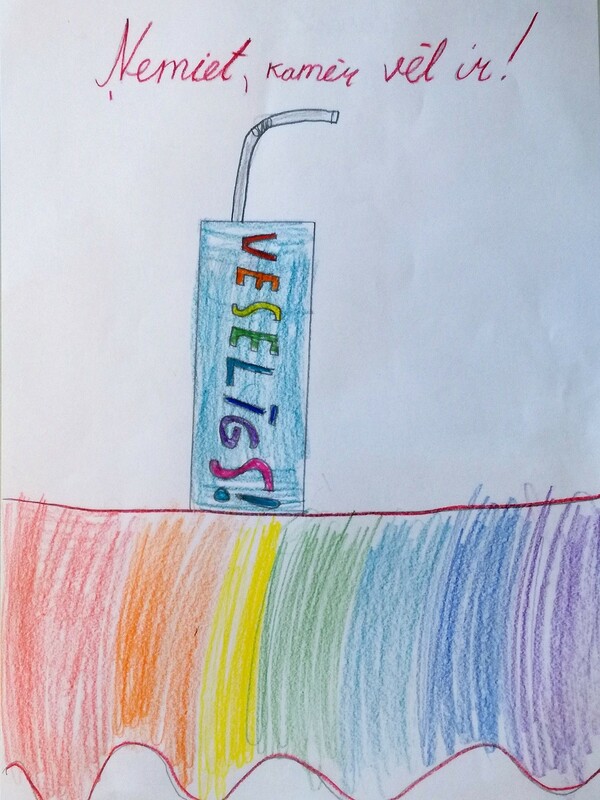 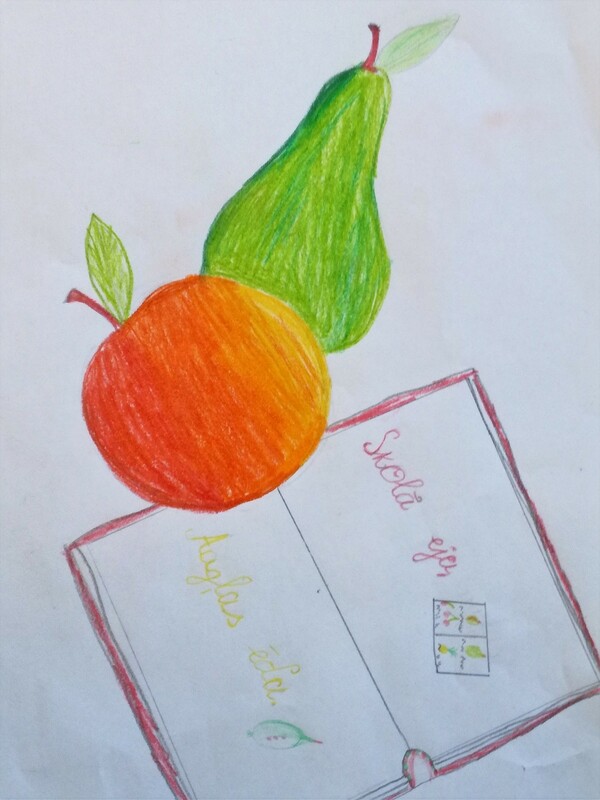 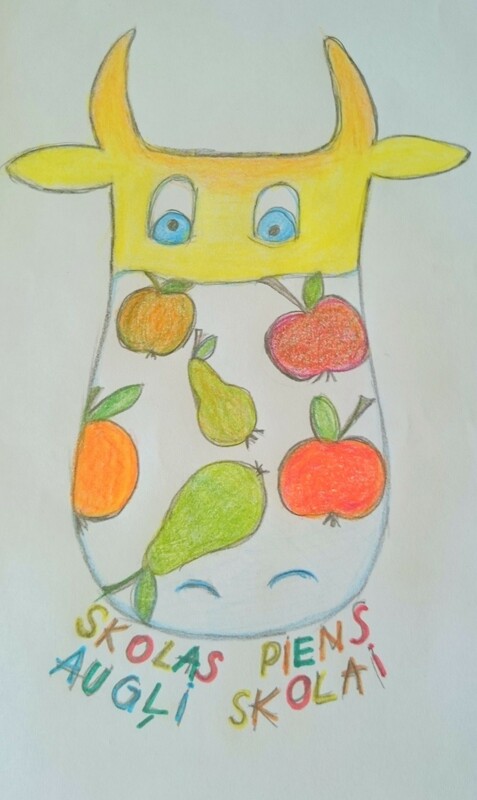 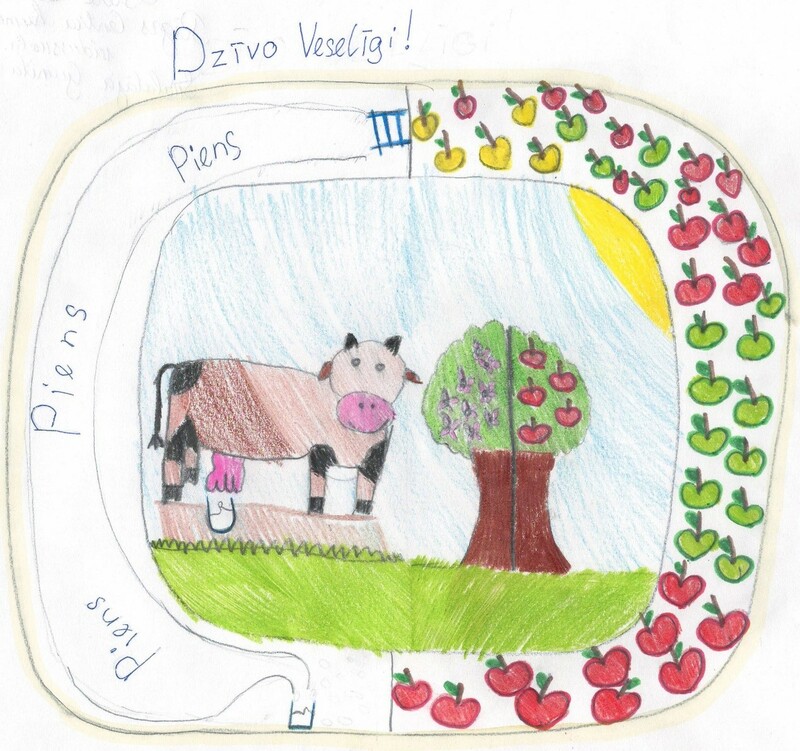 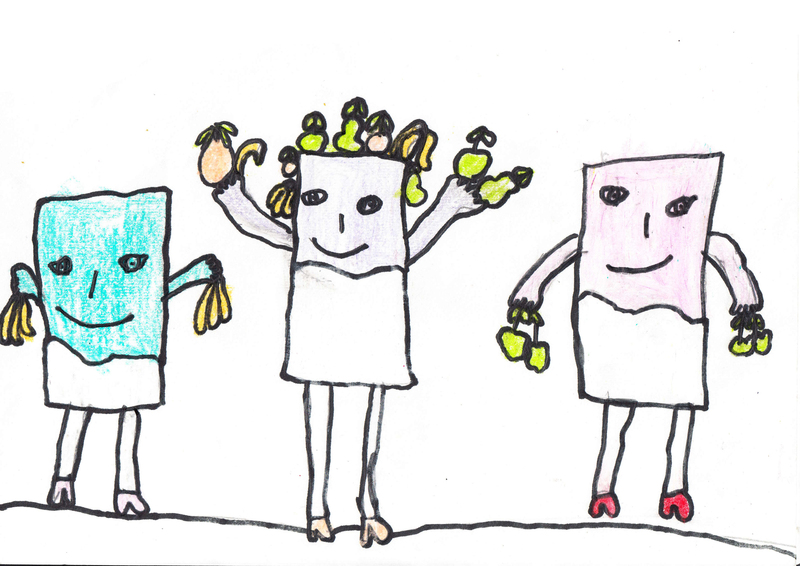 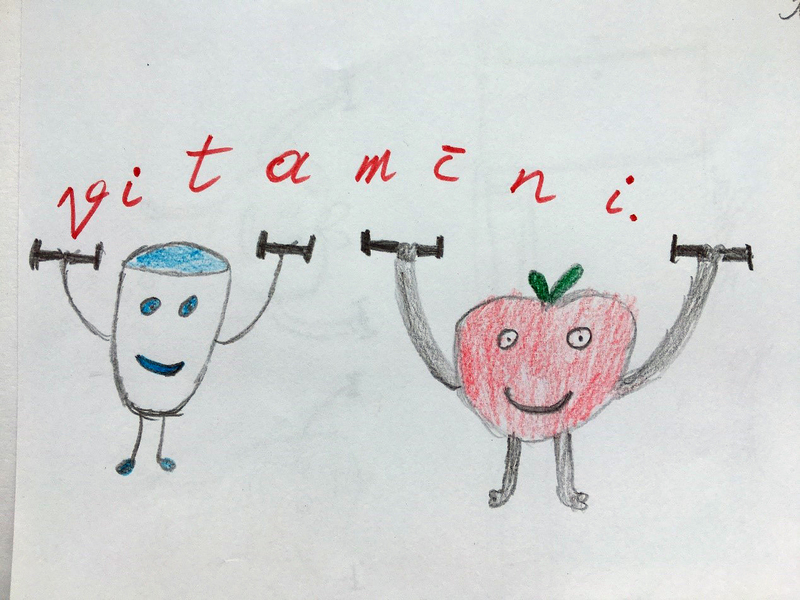 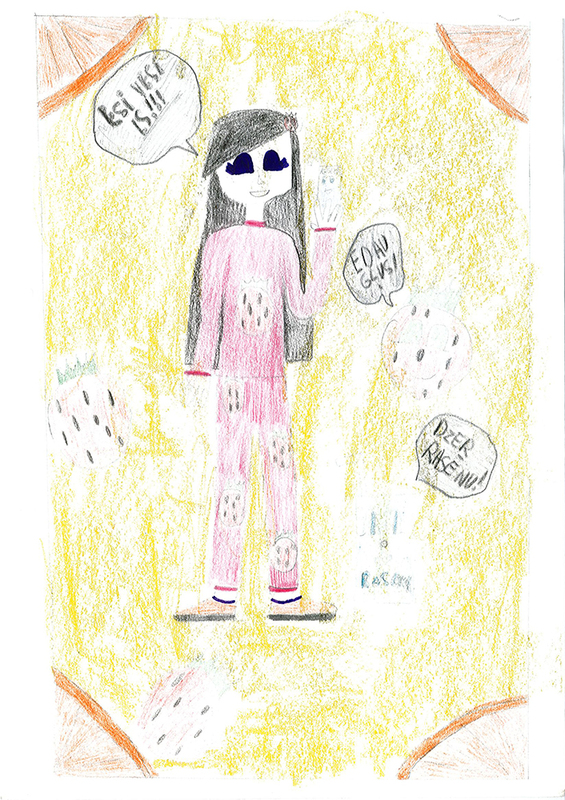 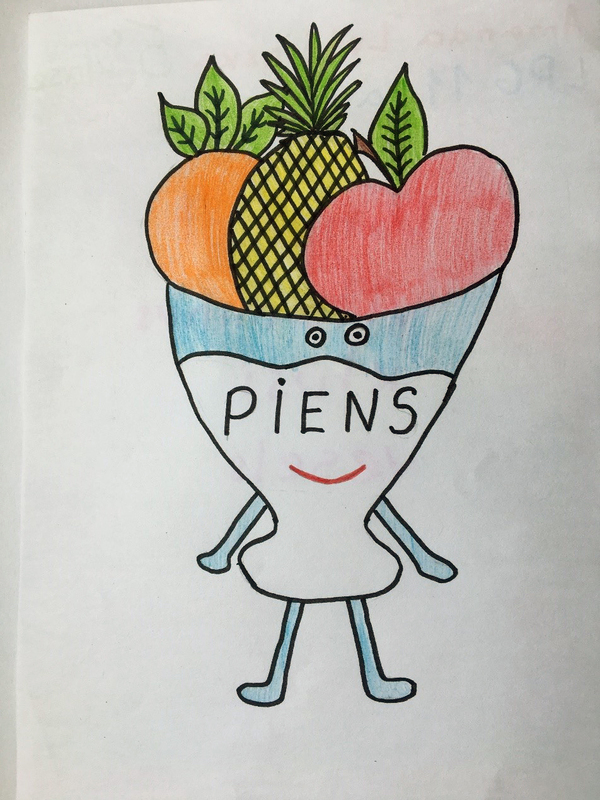 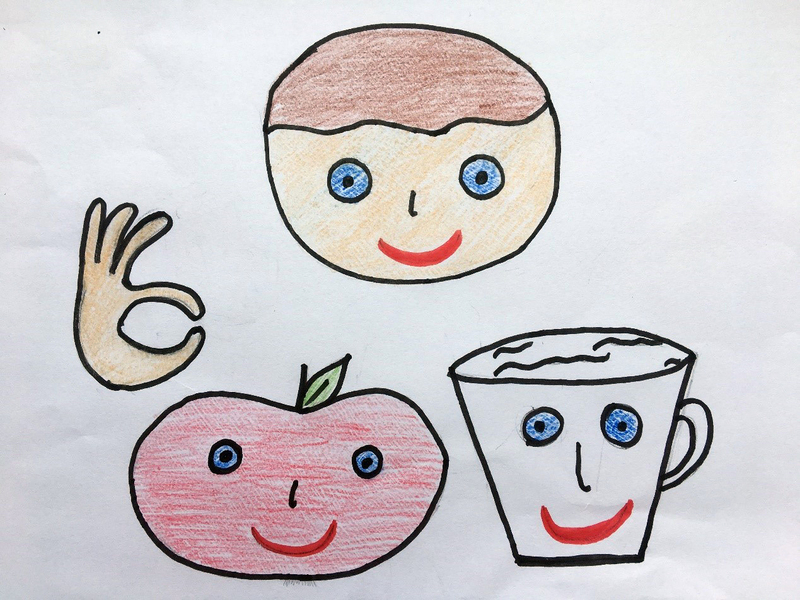 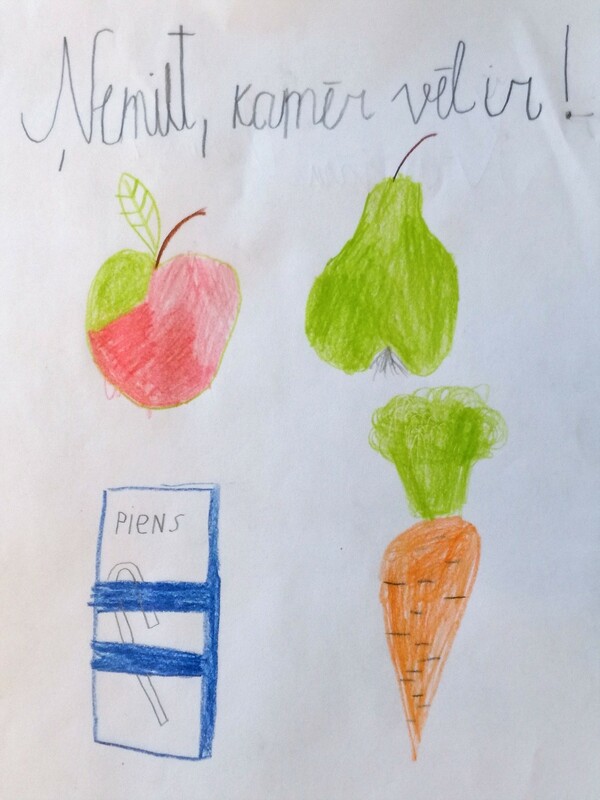 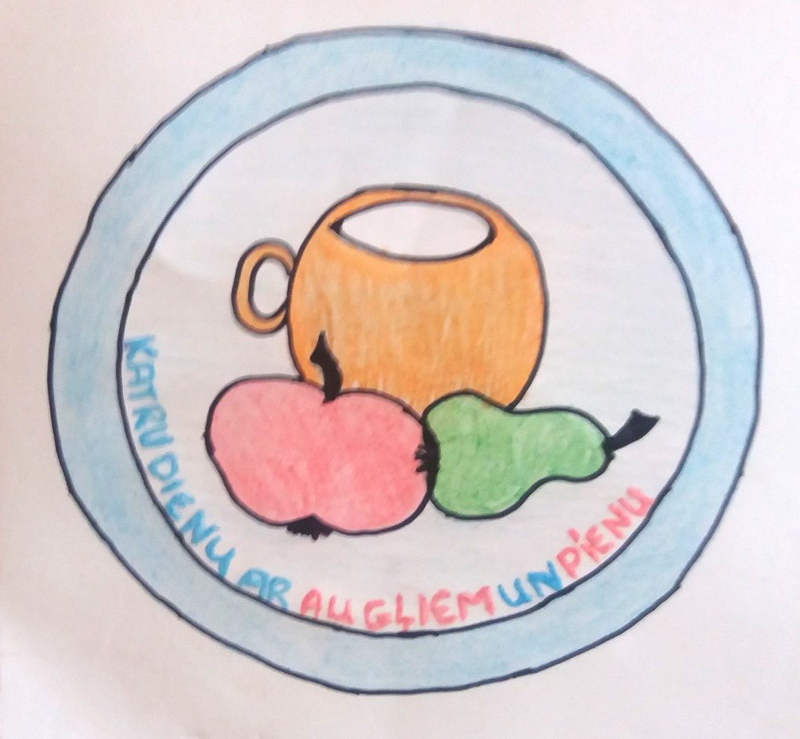 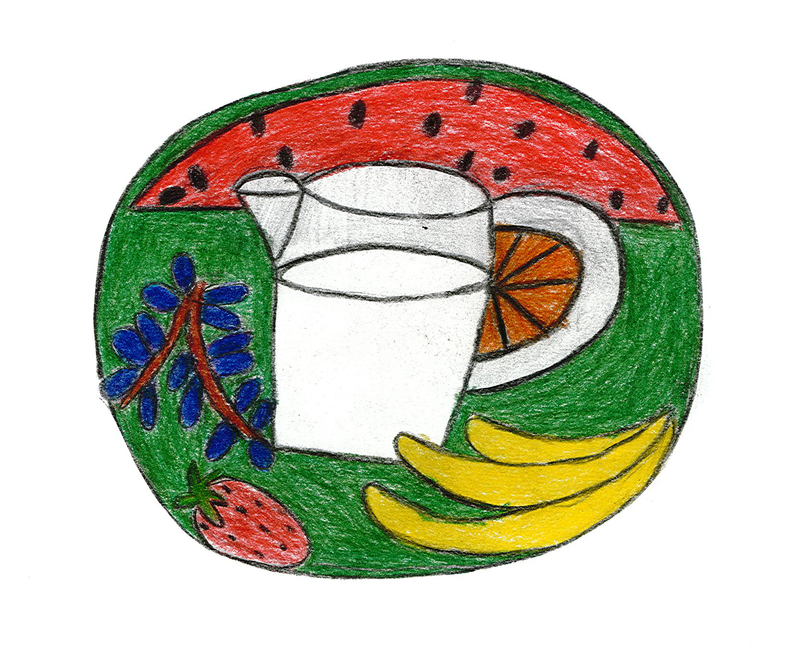 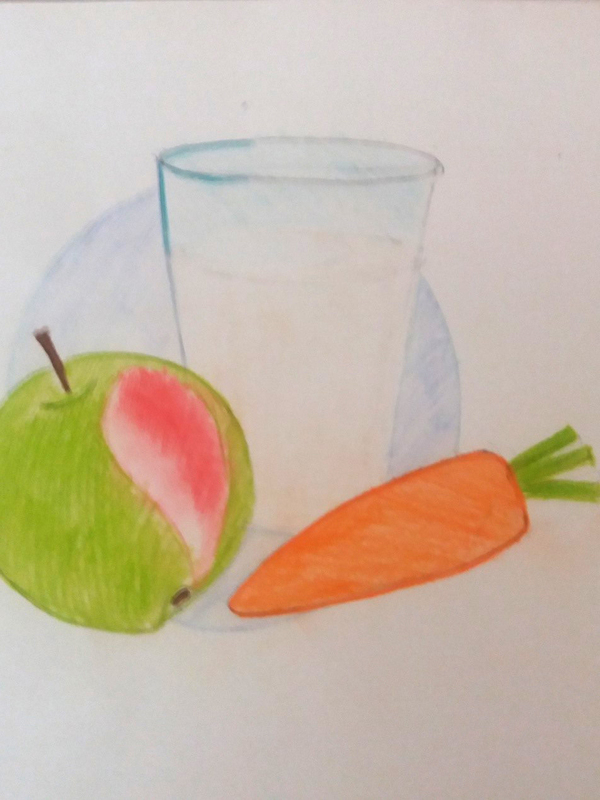 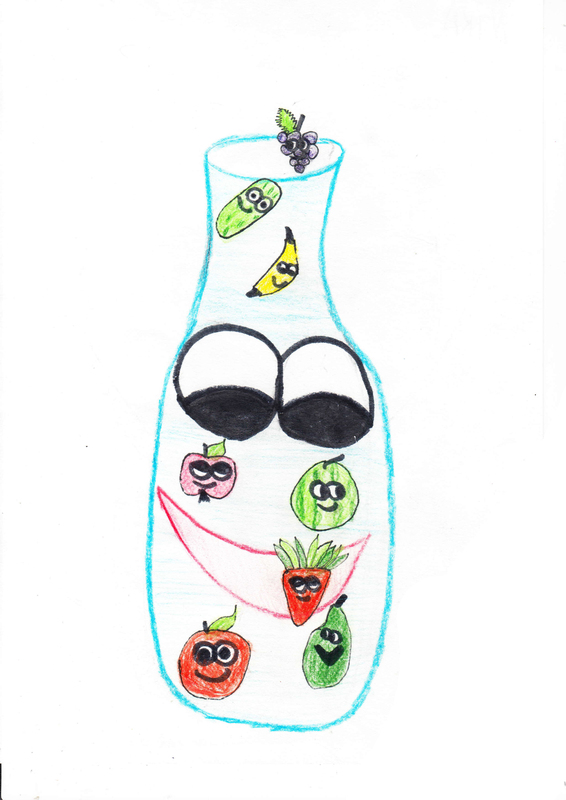 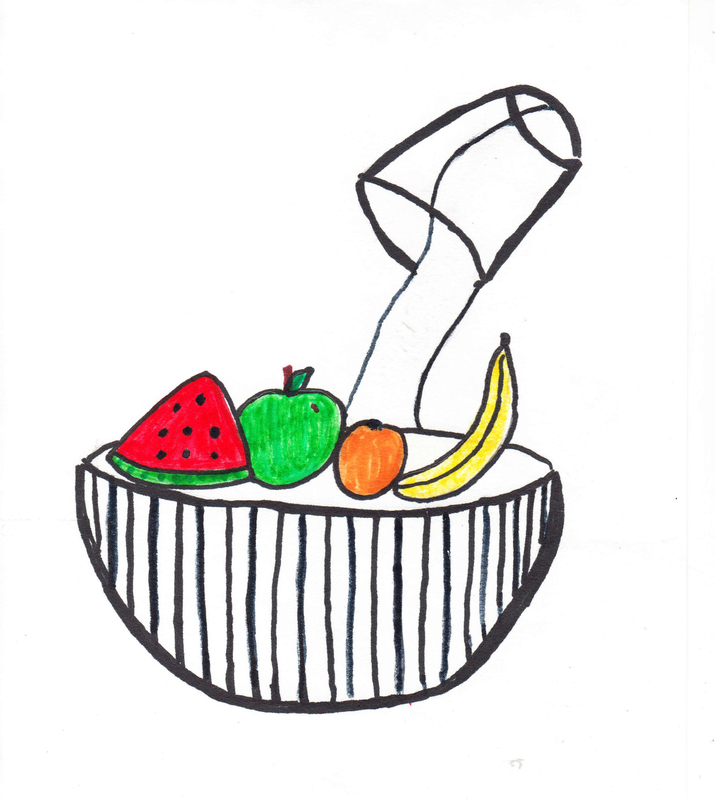 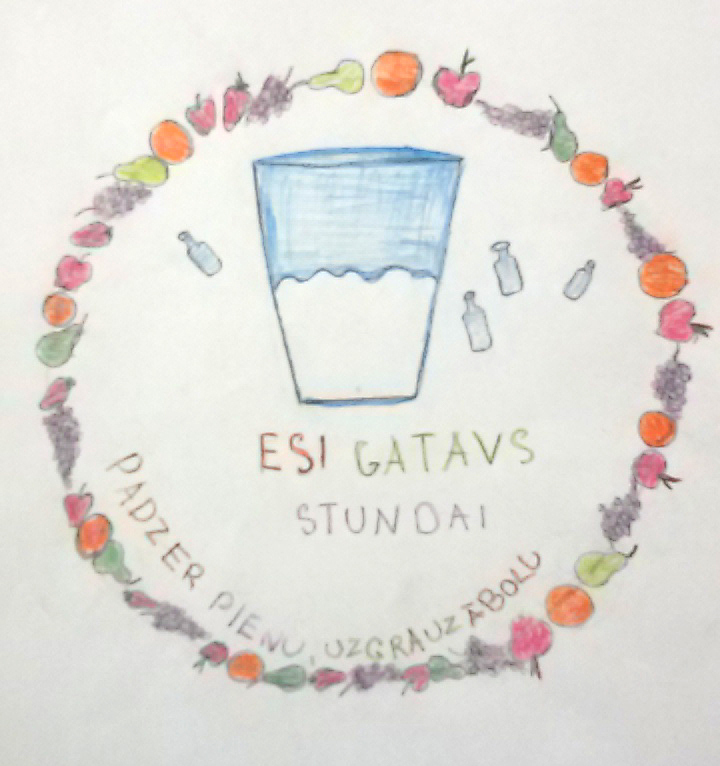 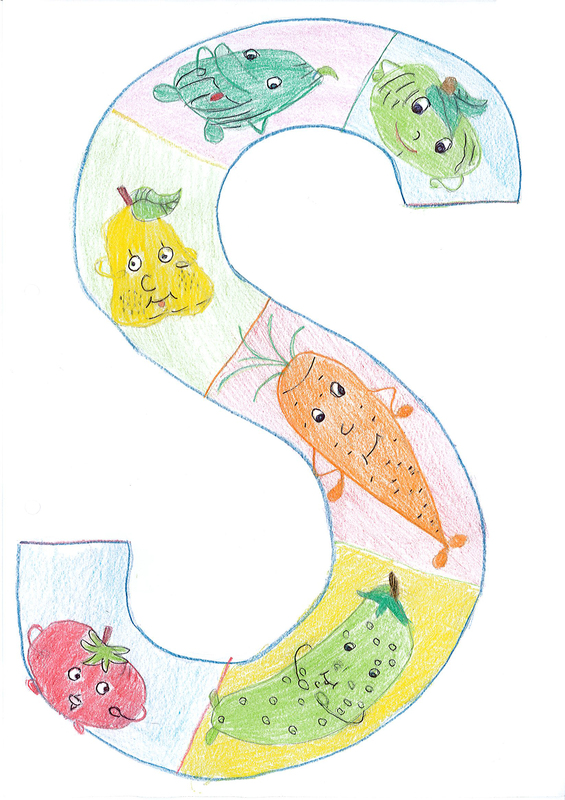 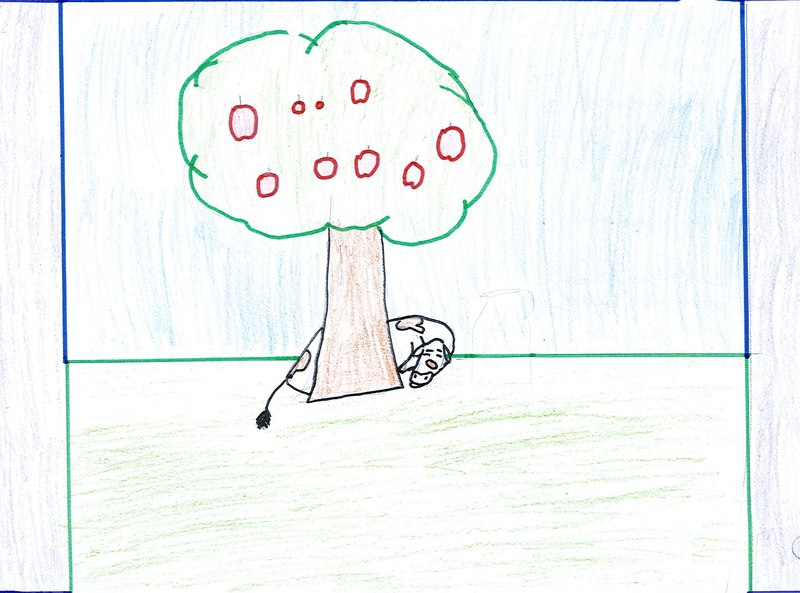 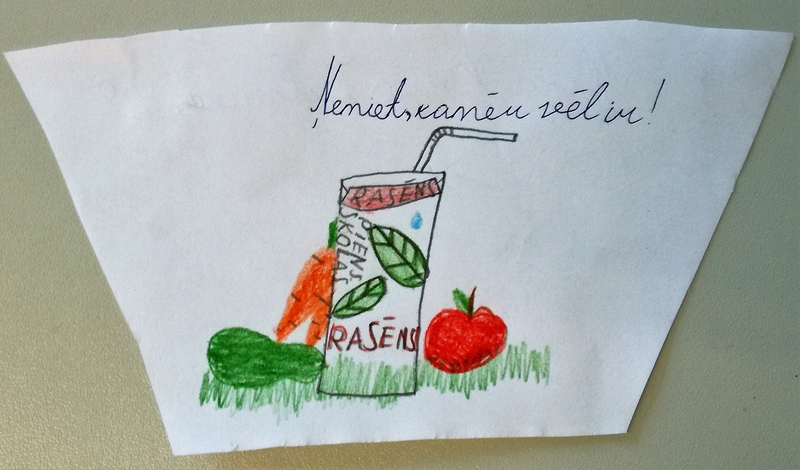 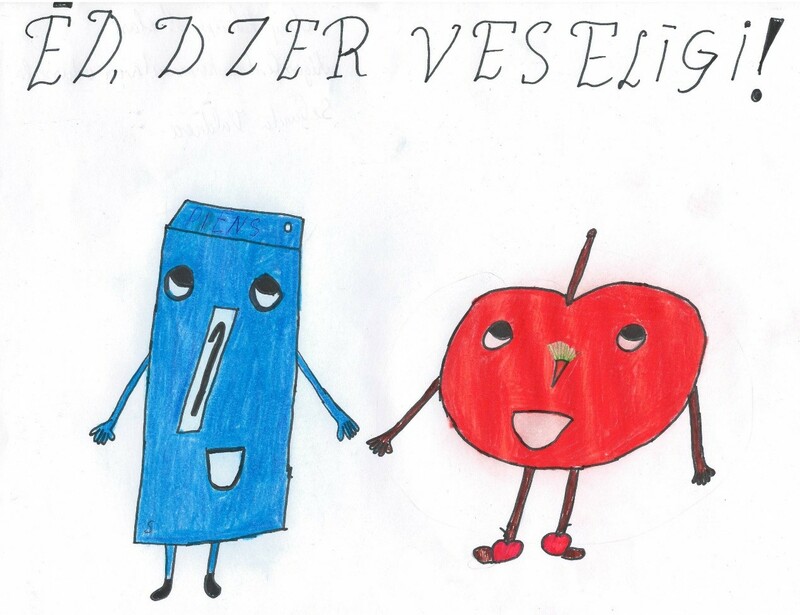 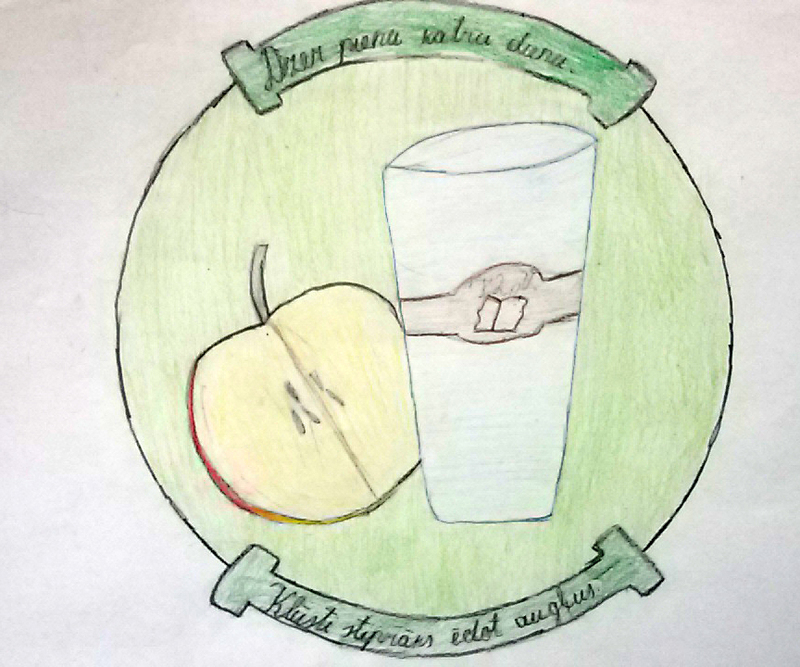 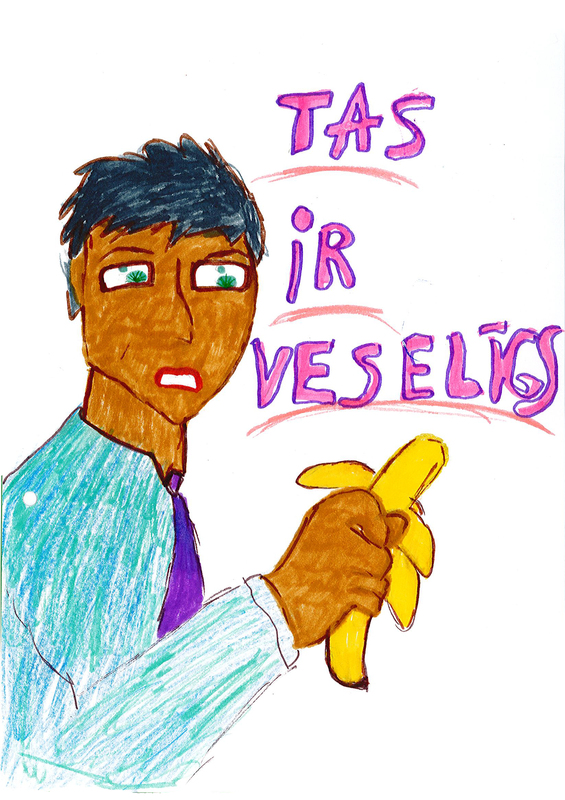 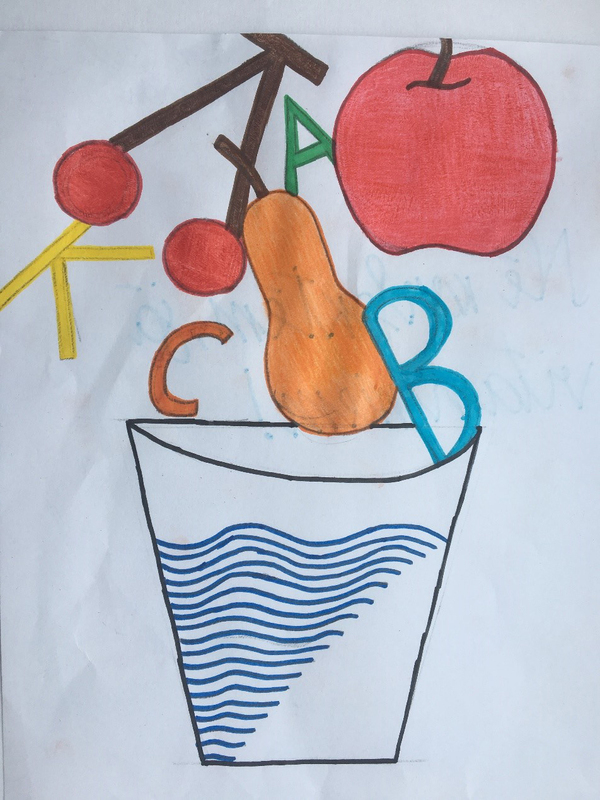 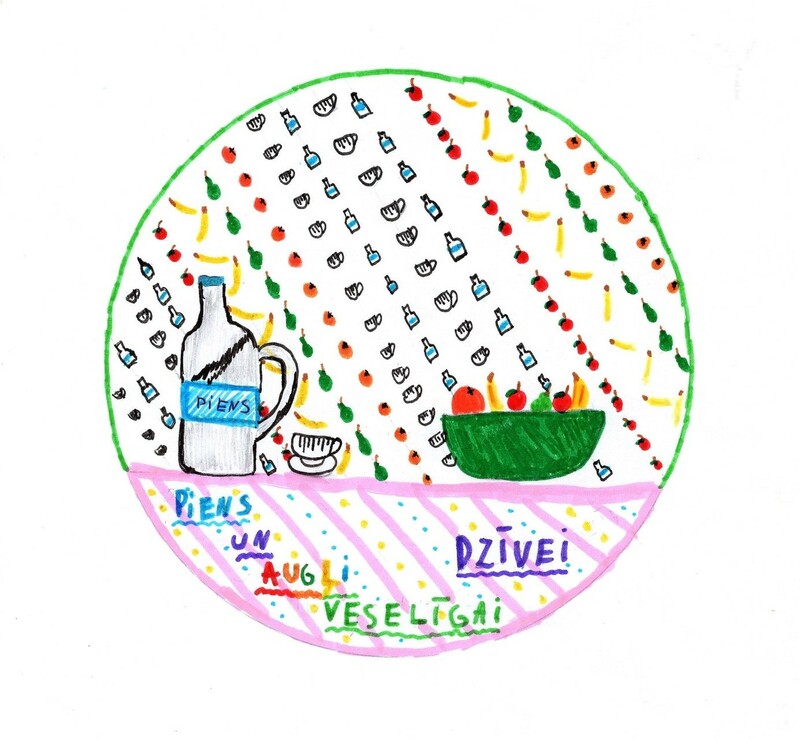 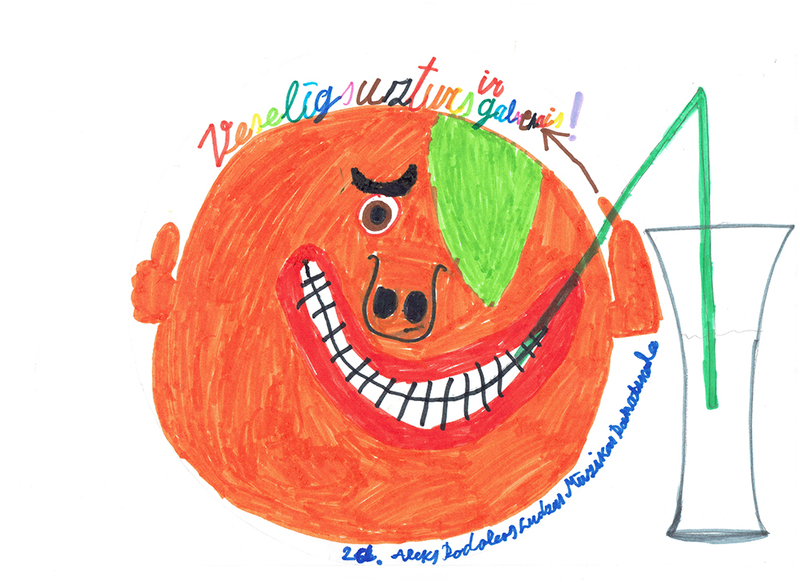 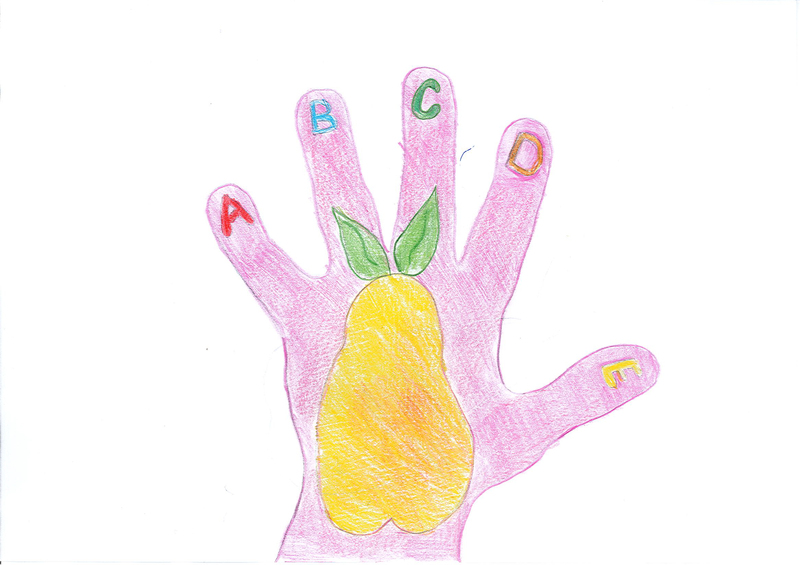 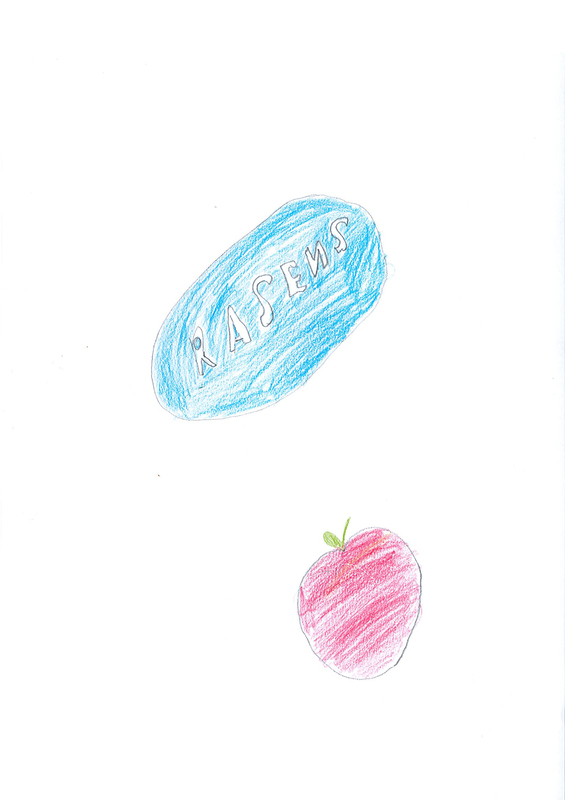 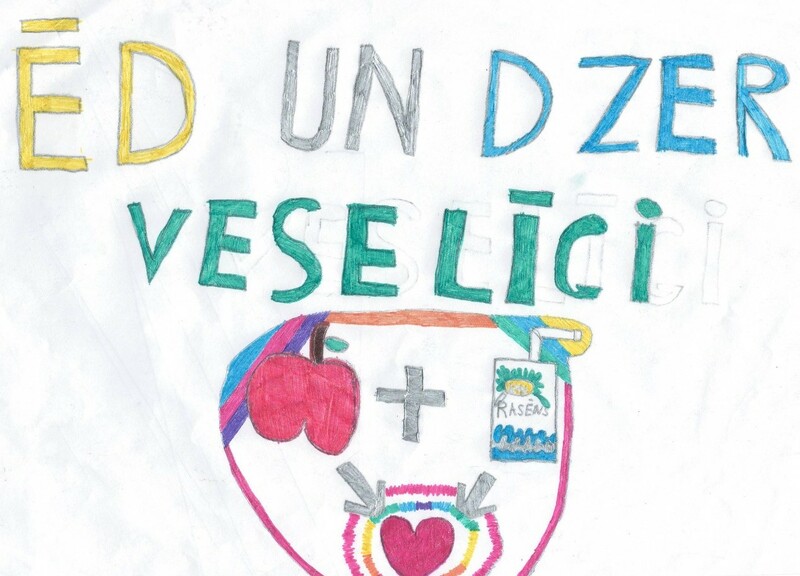 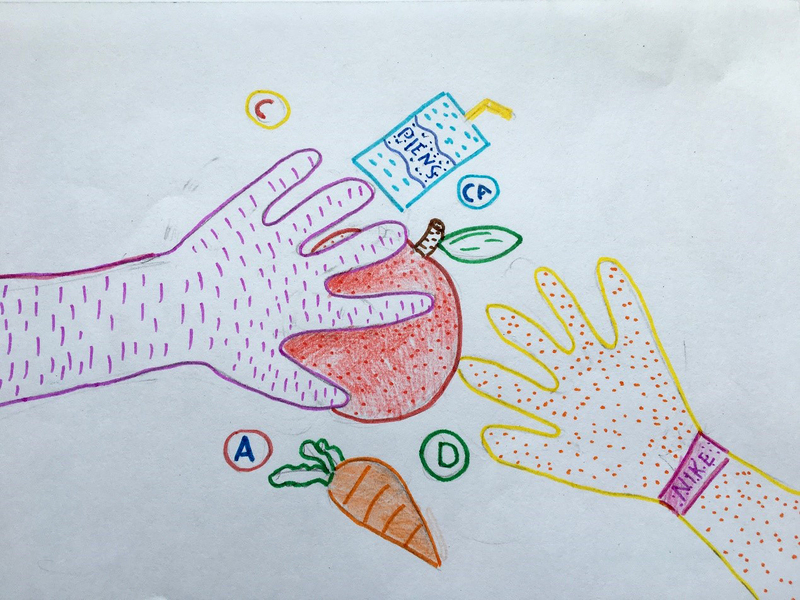 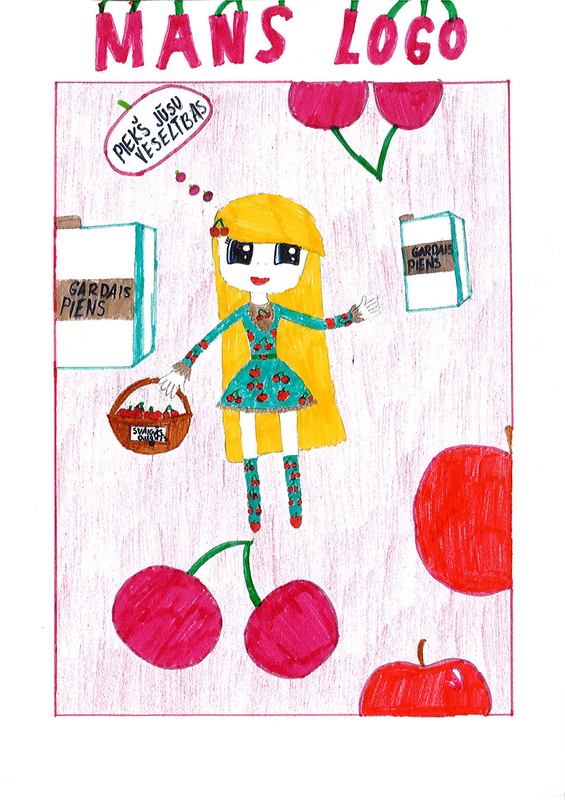 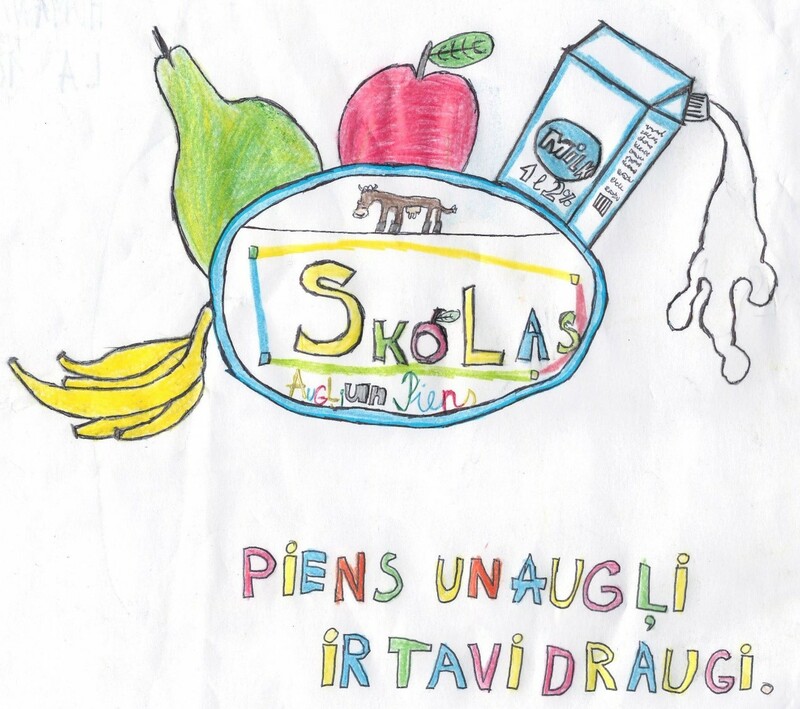 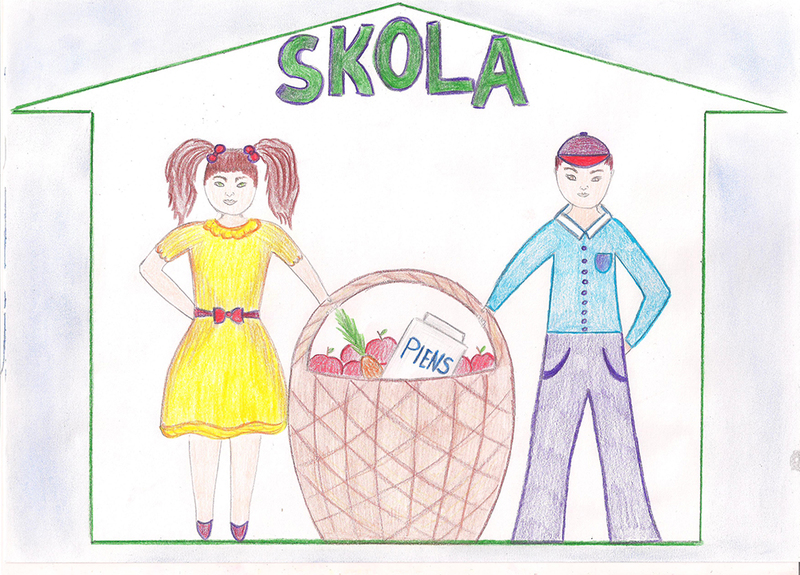 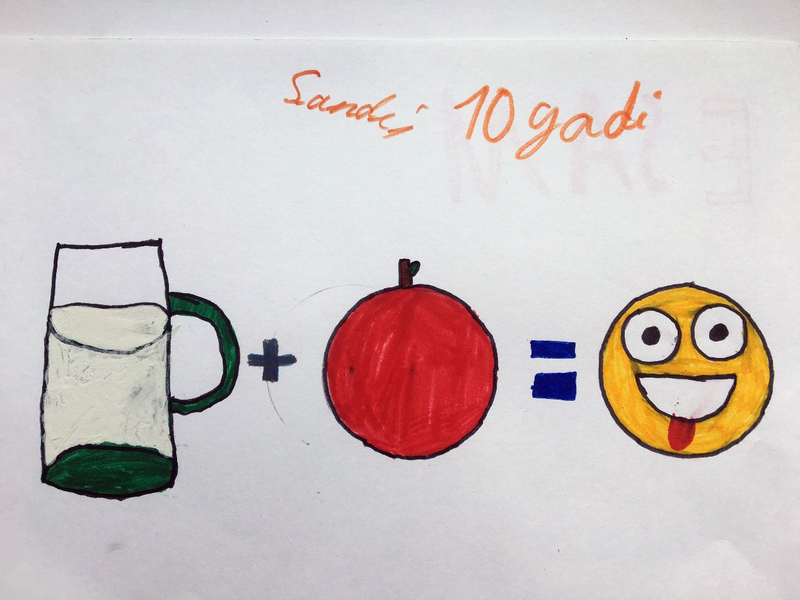 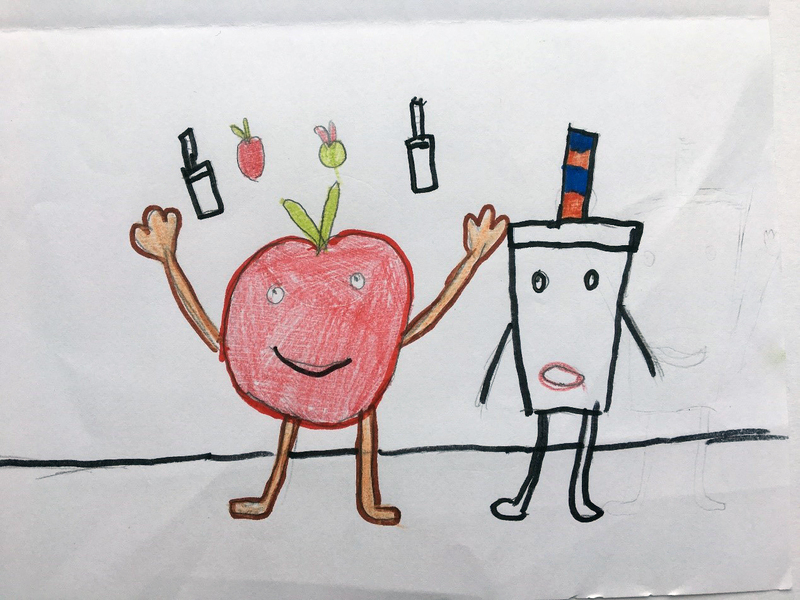 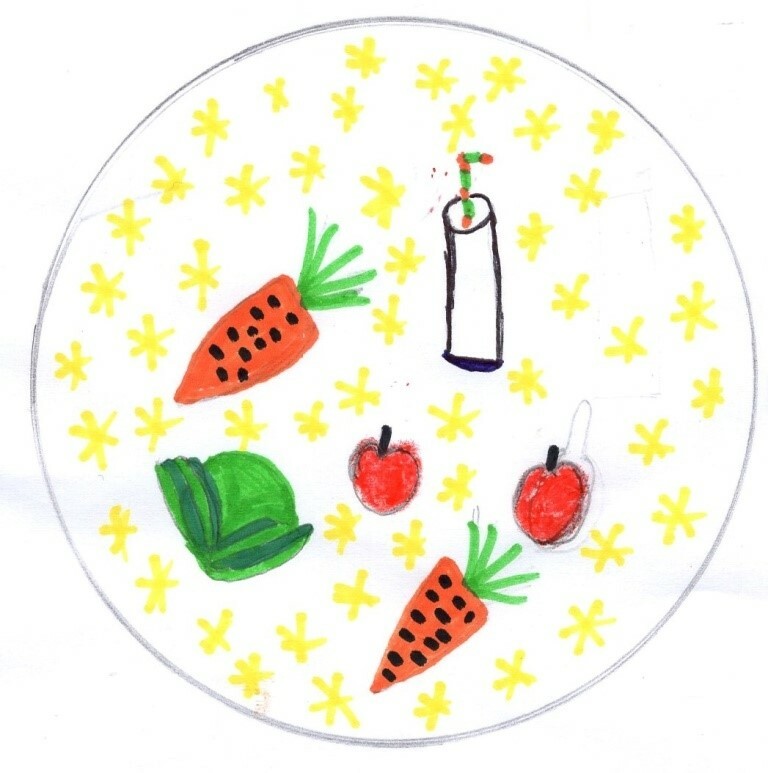 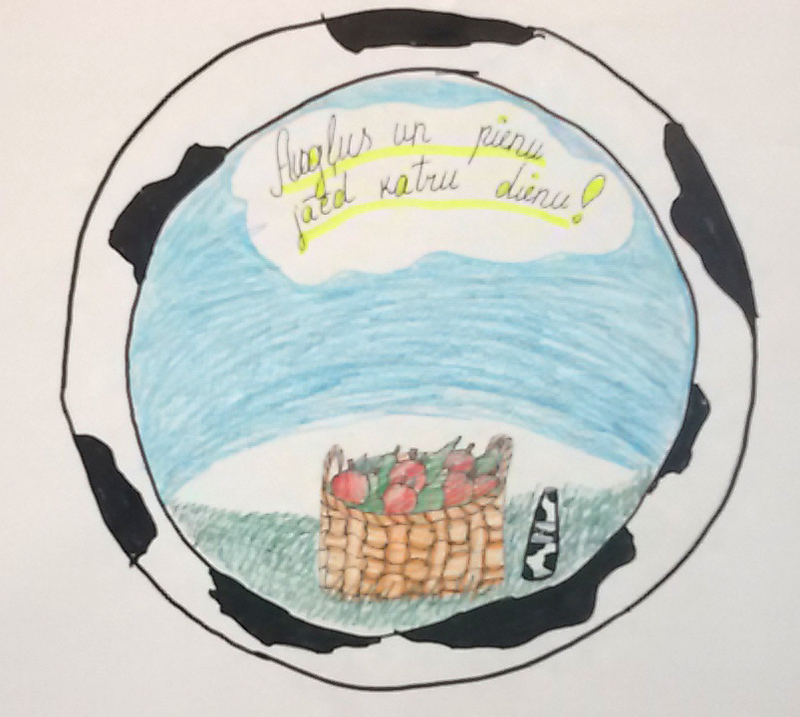 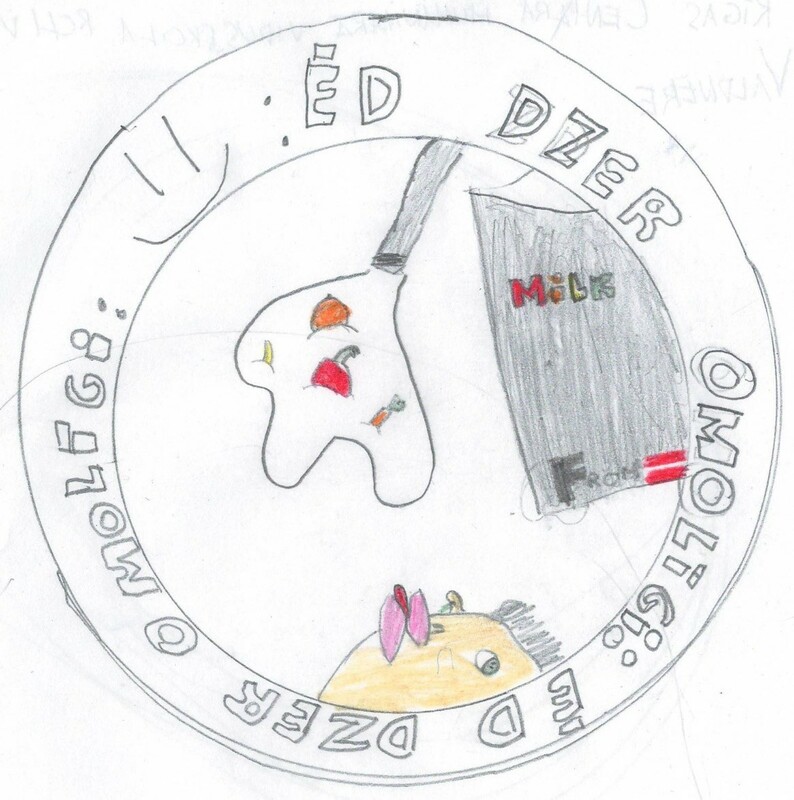 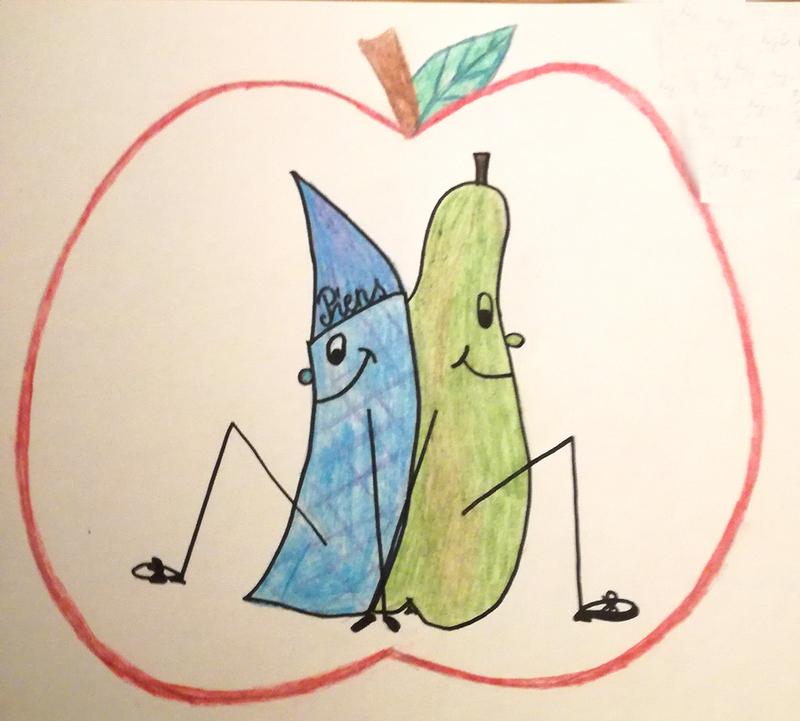 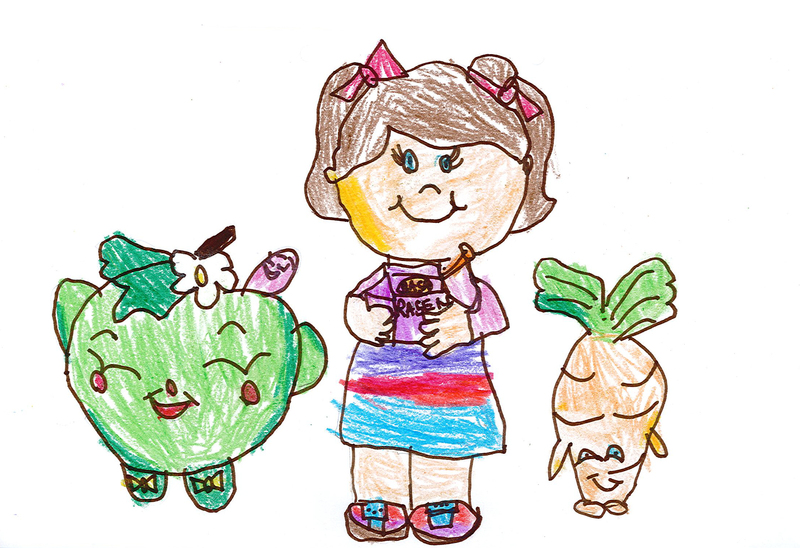 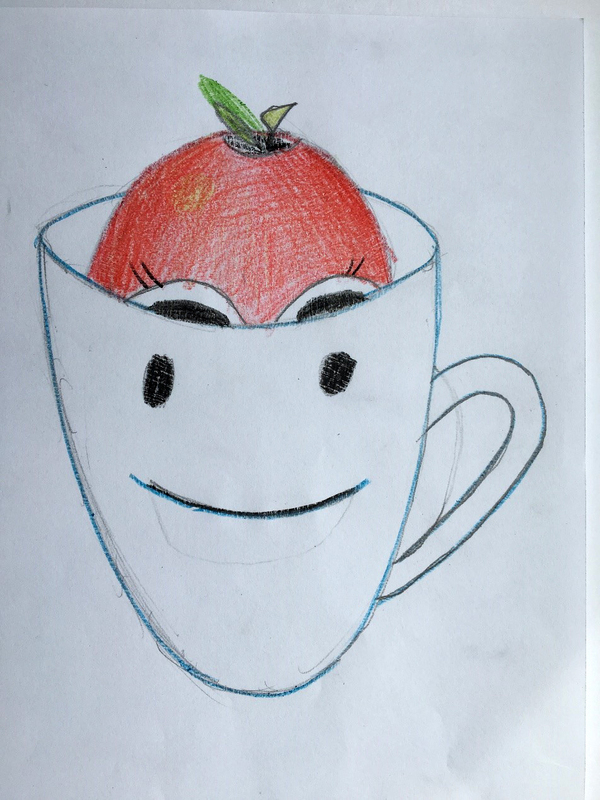 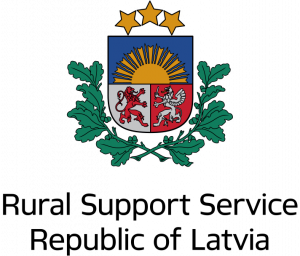 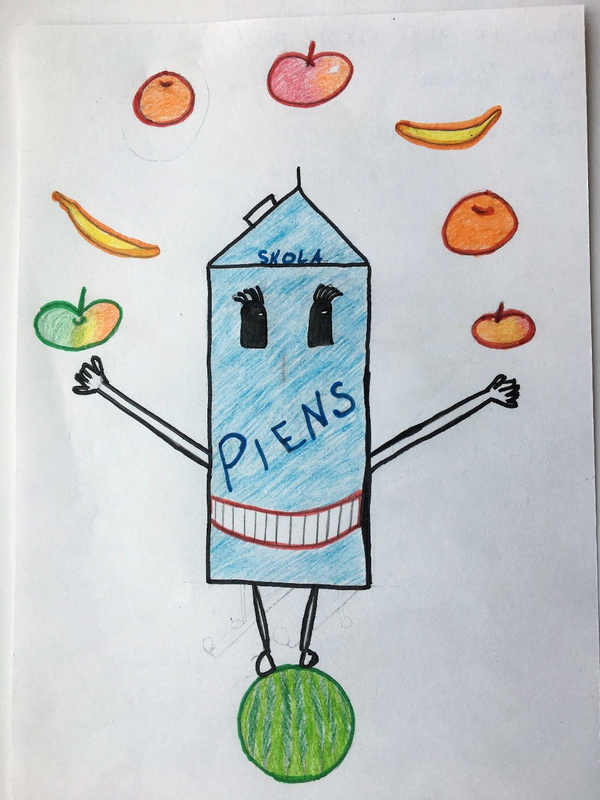 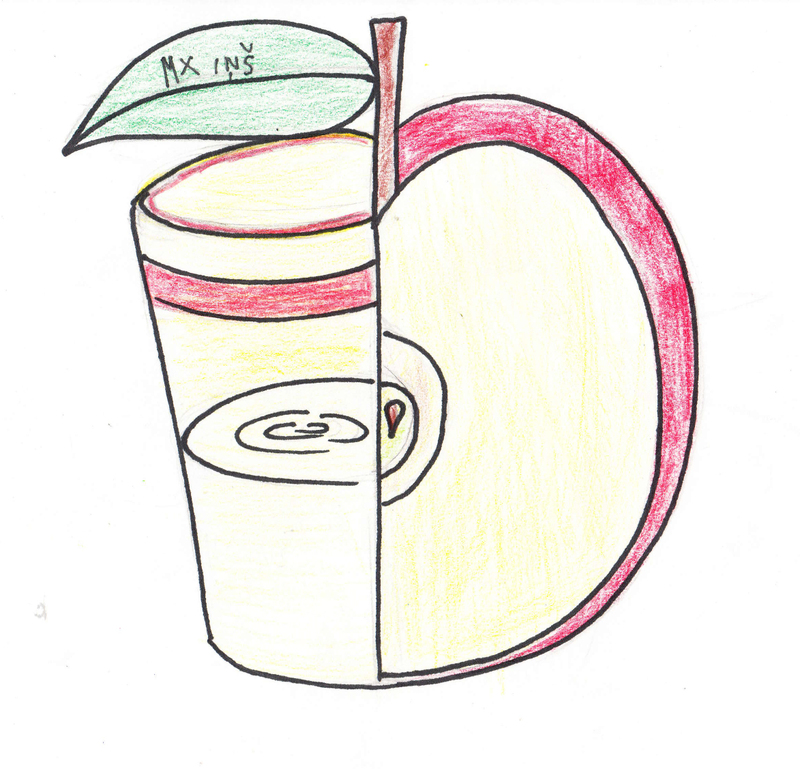 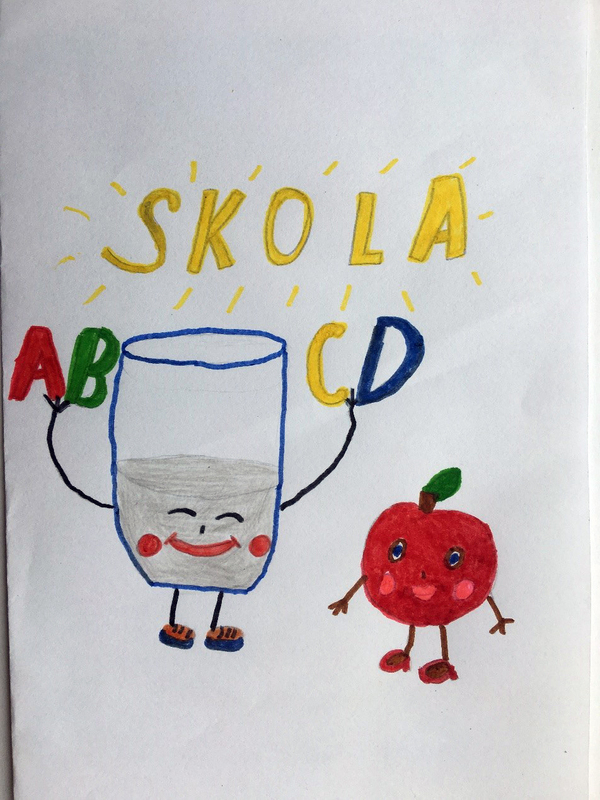 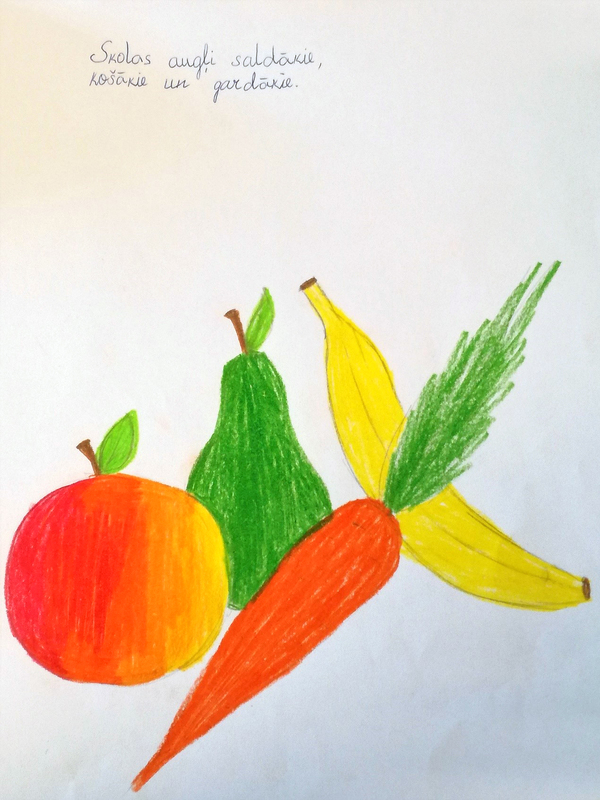 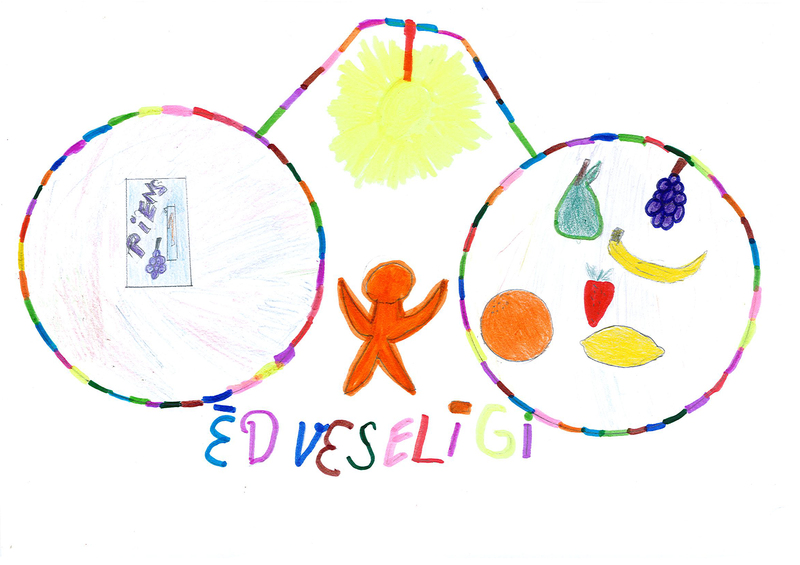 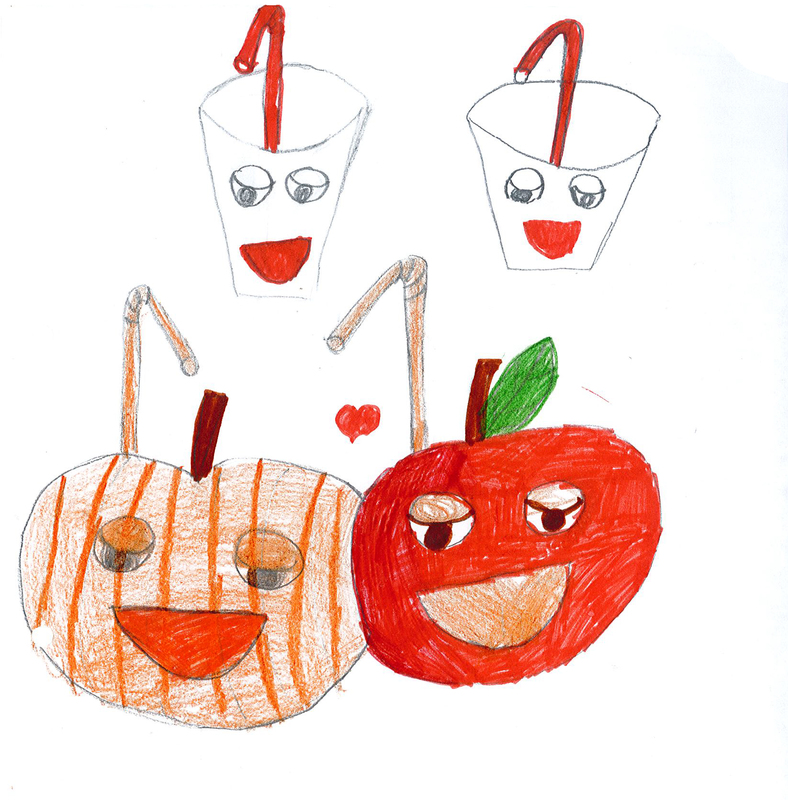 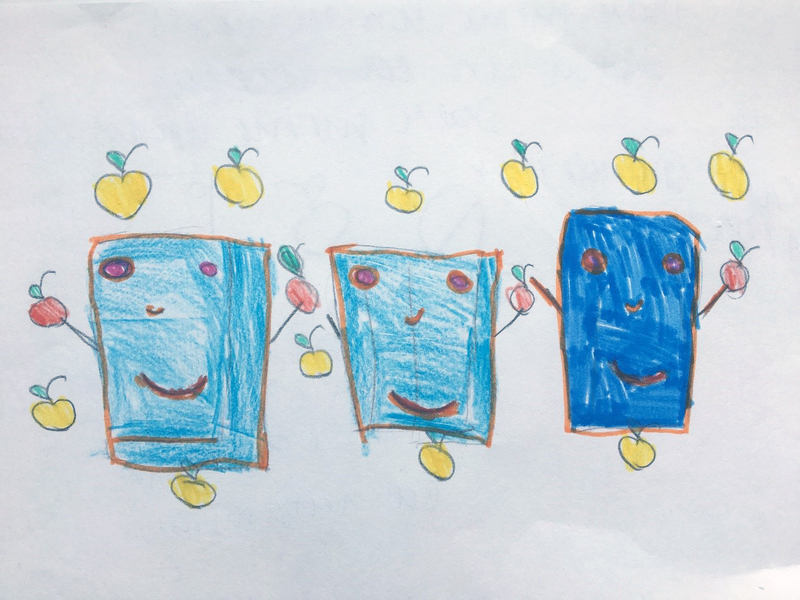 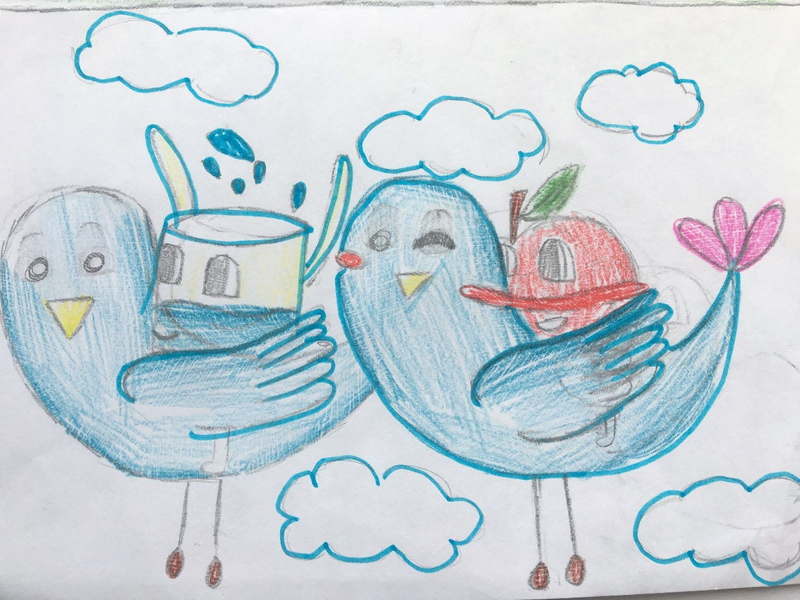 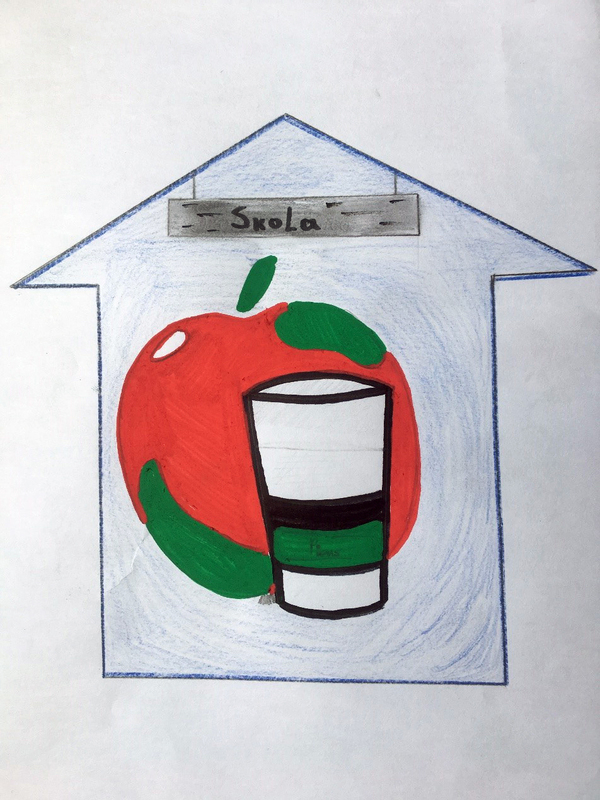 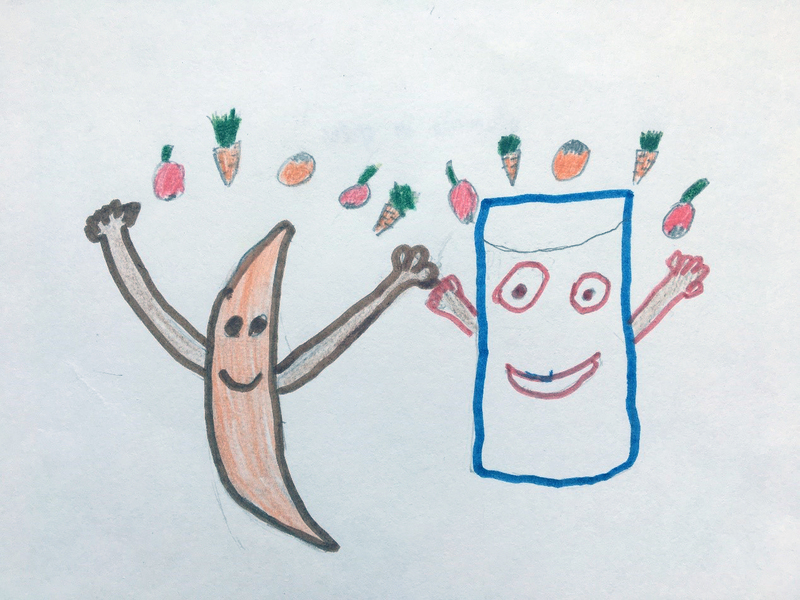 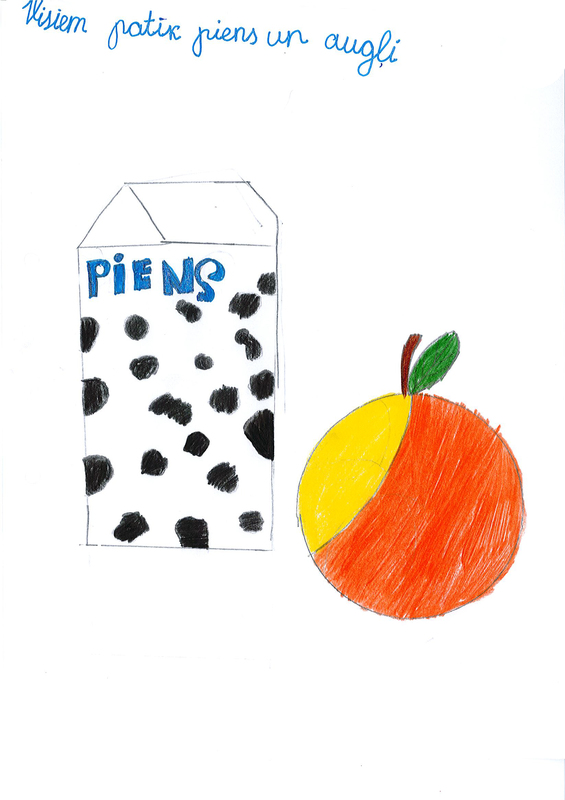 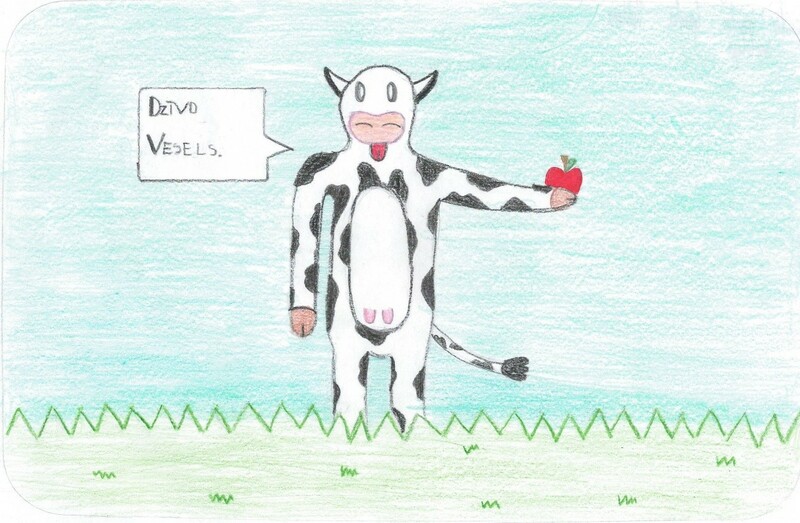 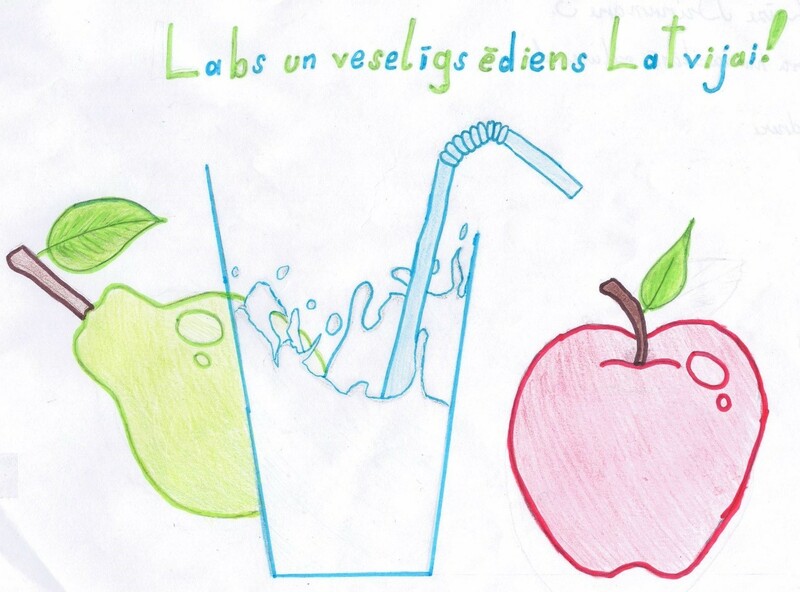 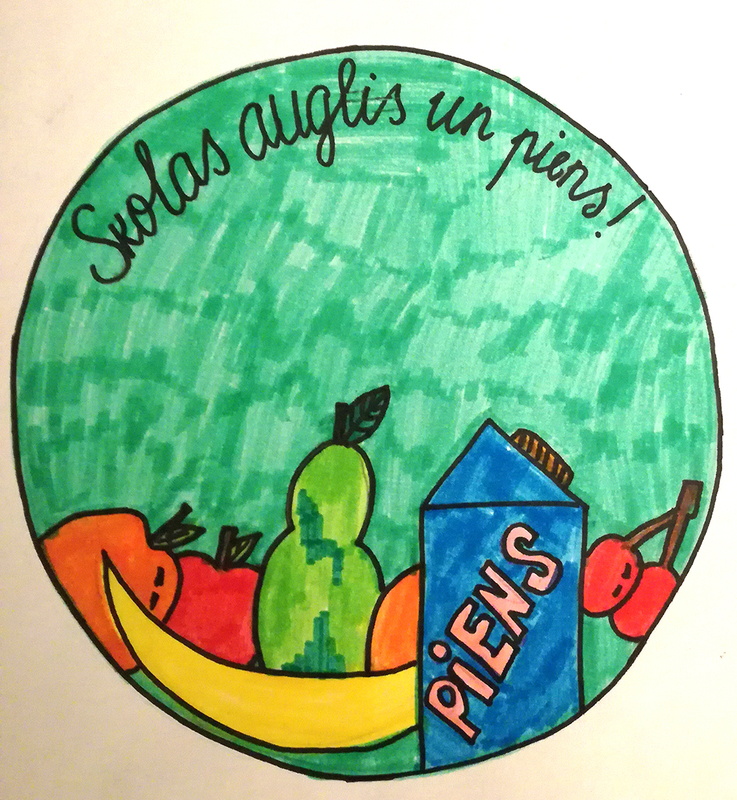 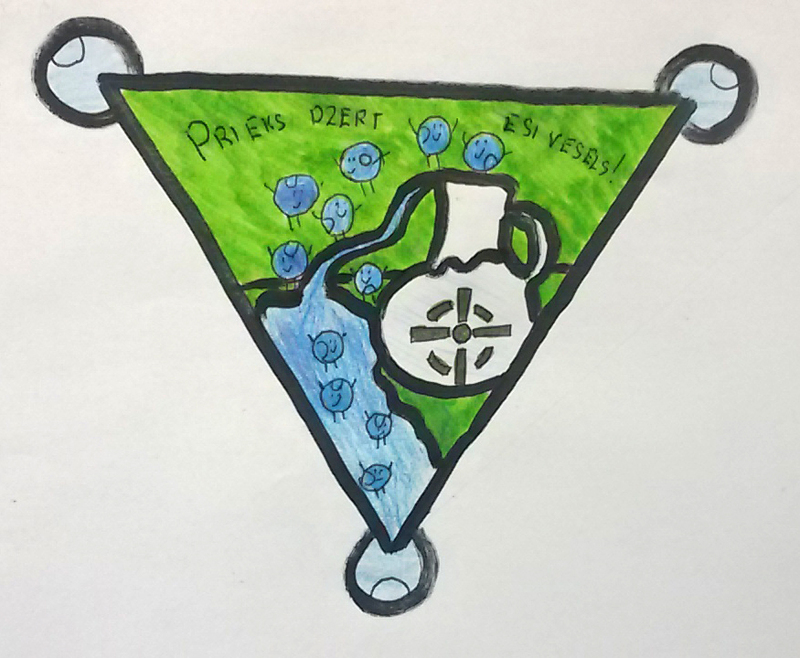 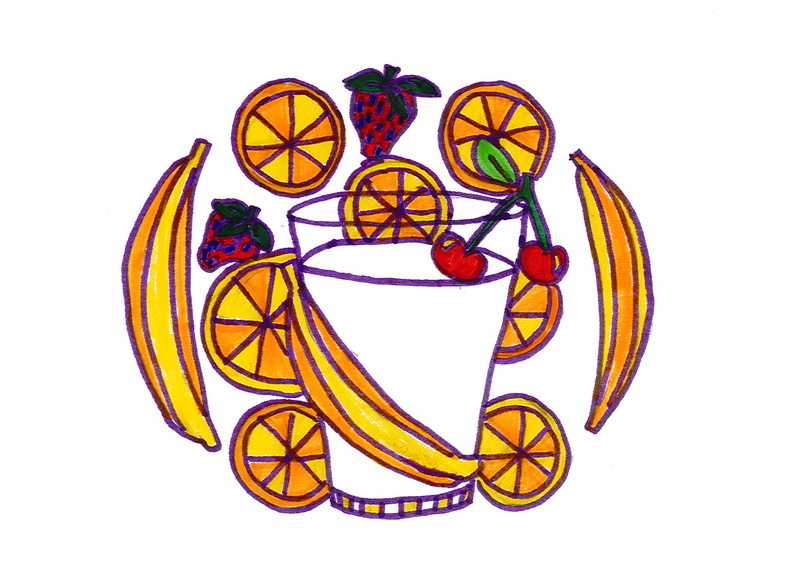 From April 5 – April 30, 2017 the Rural Support Service of Latvia and Ministry of Agriculture invited all the pupils in Latvia (6-14 years old) participate in the contest and develop a common logo and slogan for programmes “School Fruit” and “School Milk”. 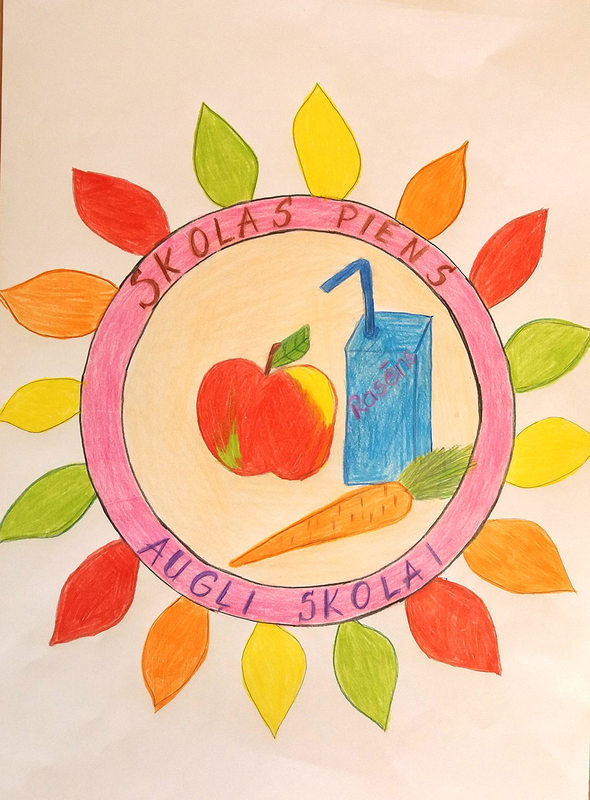 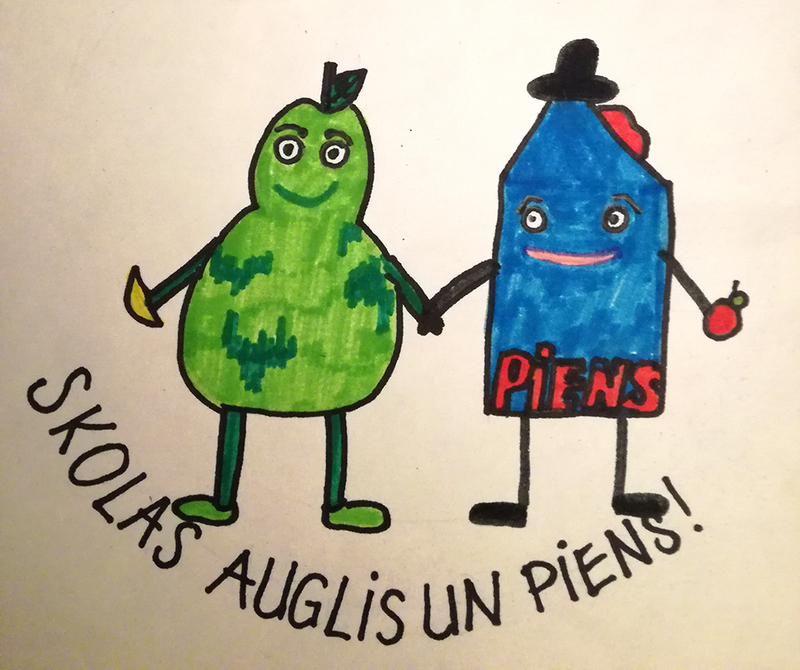 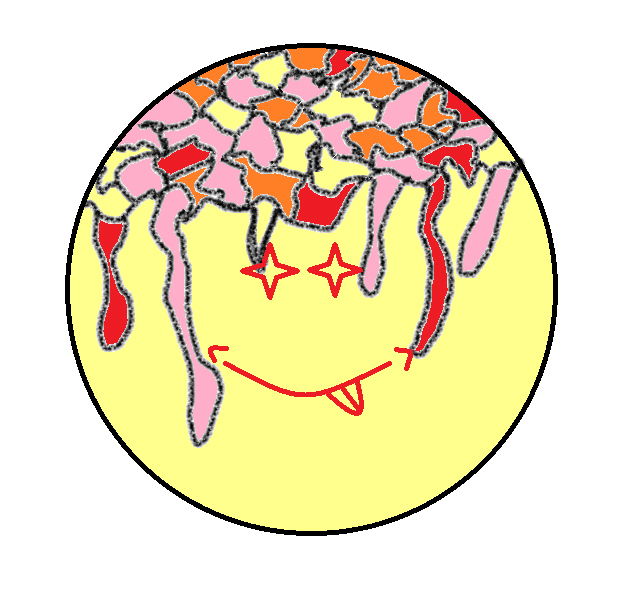 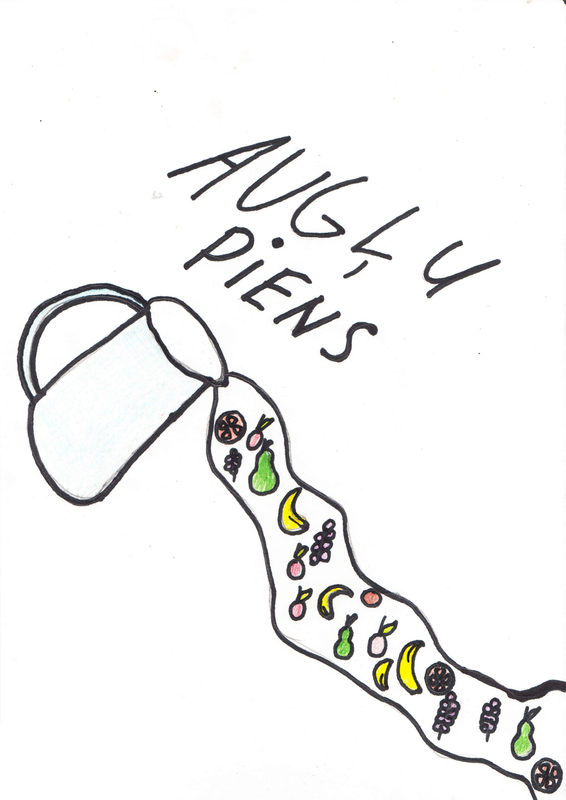 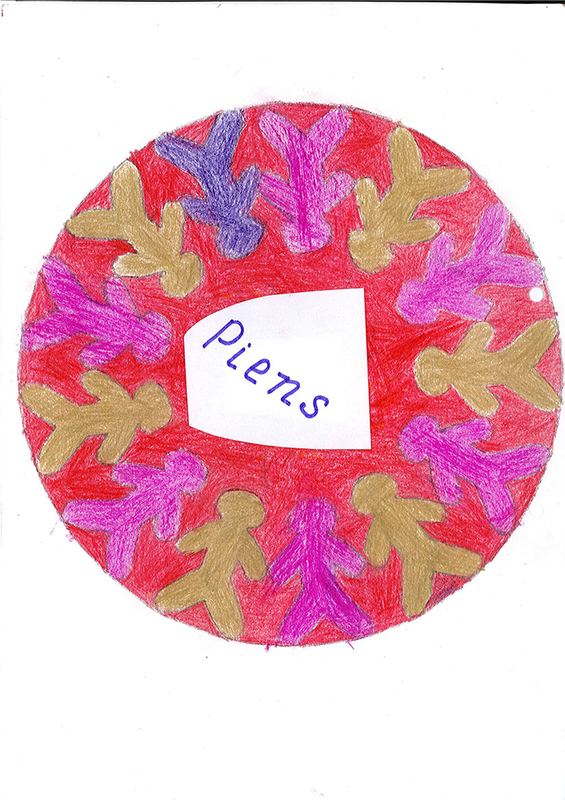 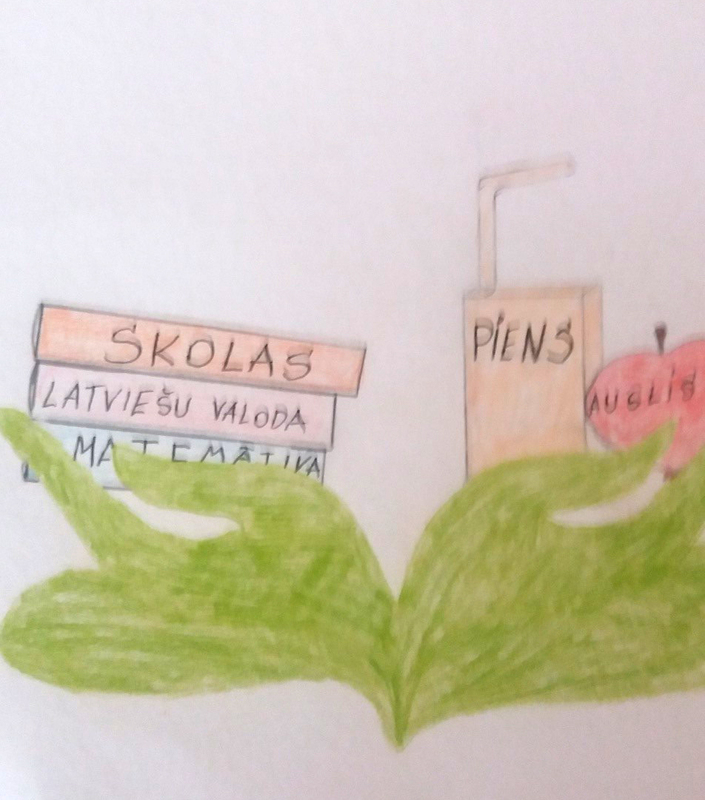 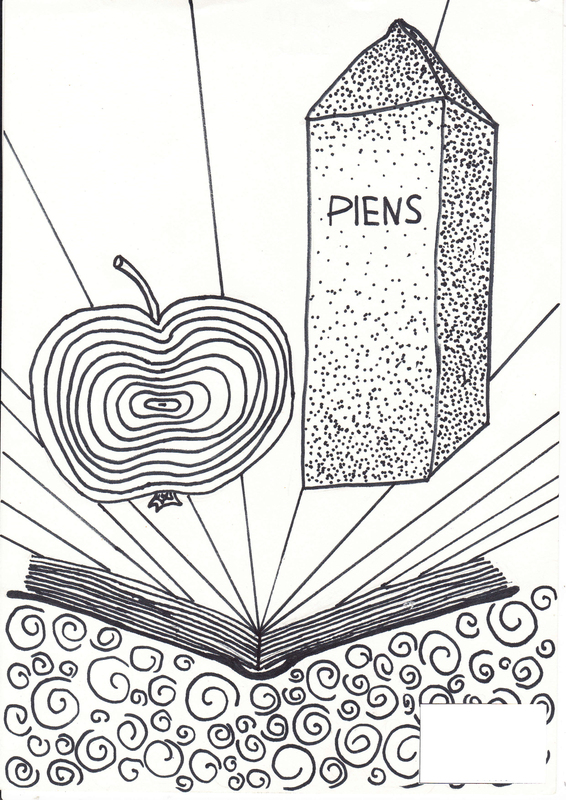 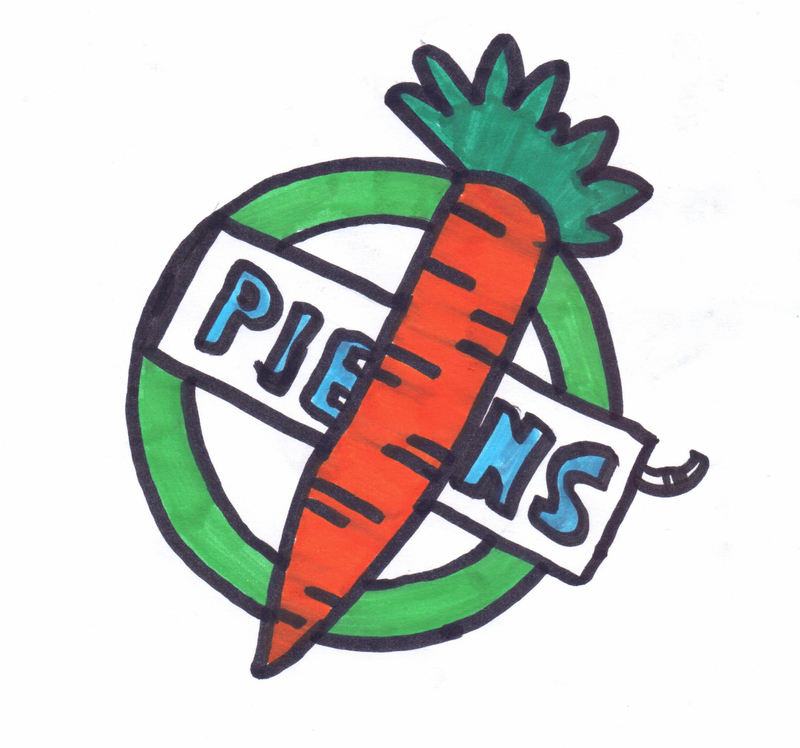 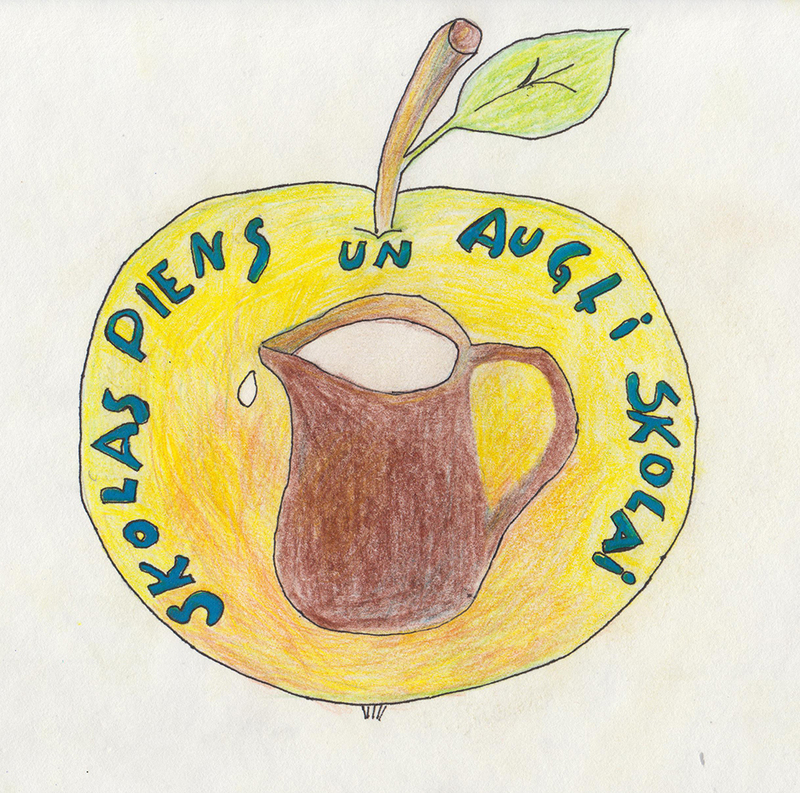 Developed logo and slogan were placed on the website www.piensaugliskolai.lv and used to promote school programmes both in Latvia and abroad. 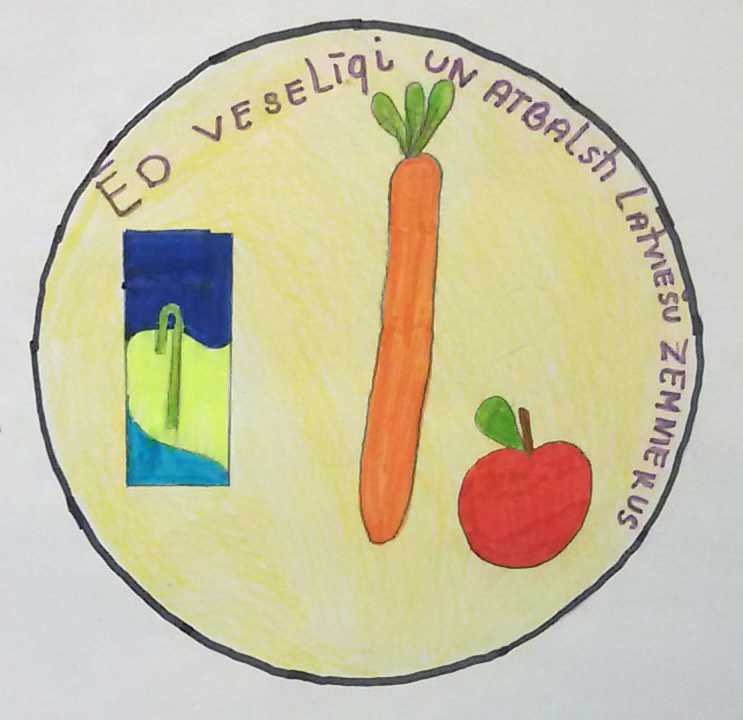 The main prize for best logo and slogan was a tablet. 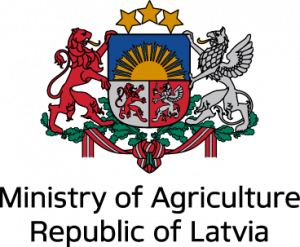 More detailed rules for participation can be found in the contest regulations. 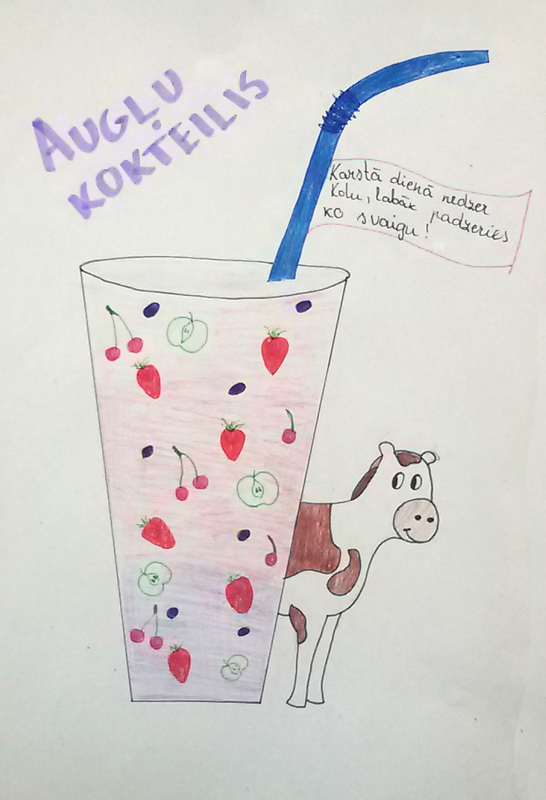 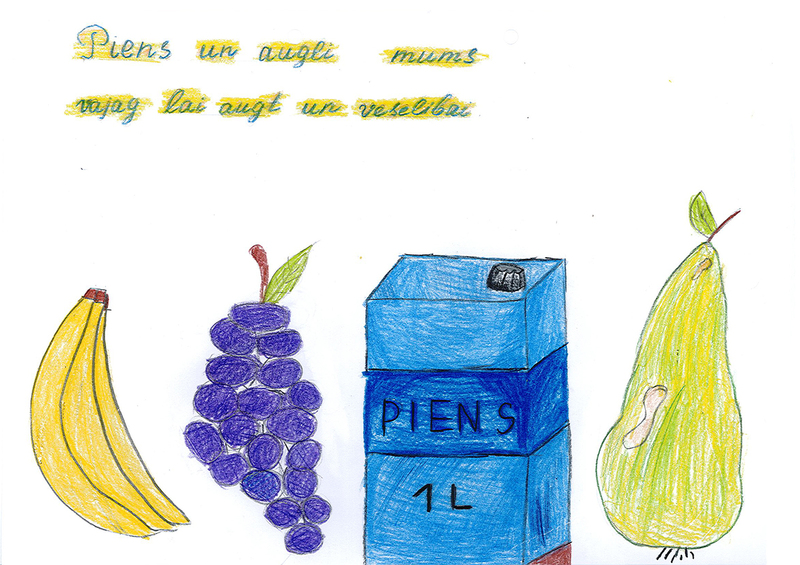 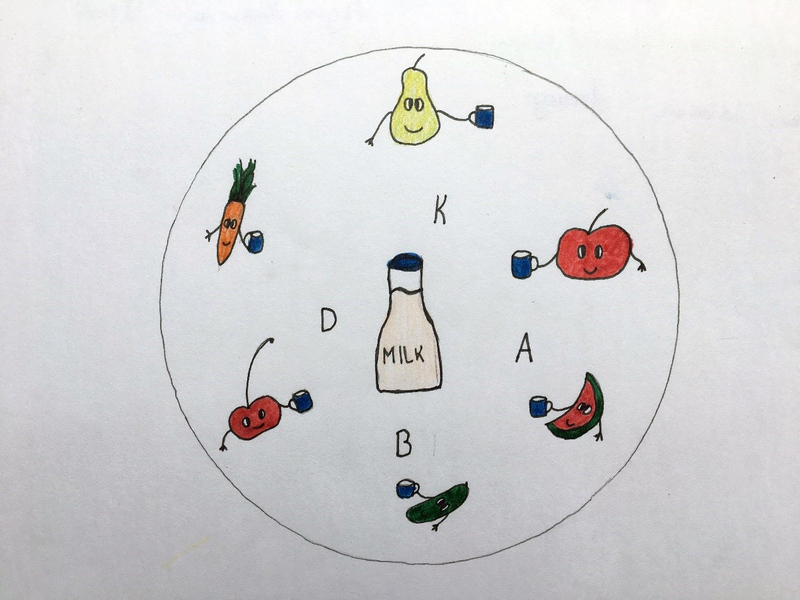 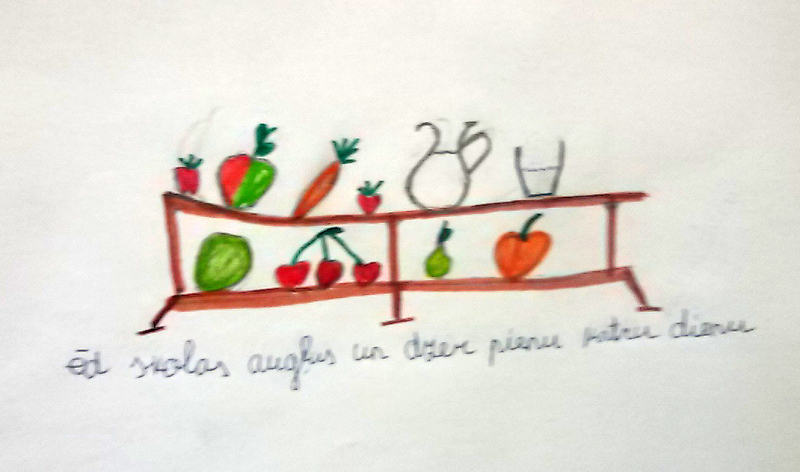 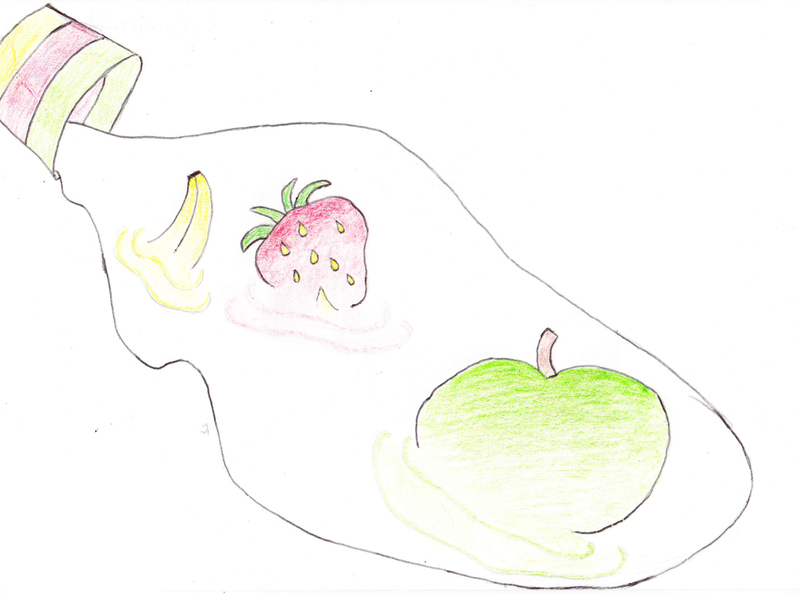 Milk and fruits – my friends!